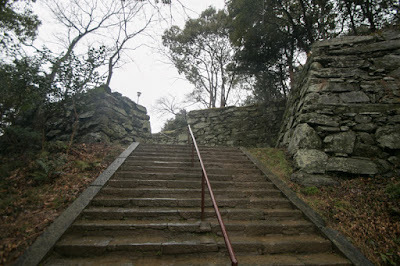 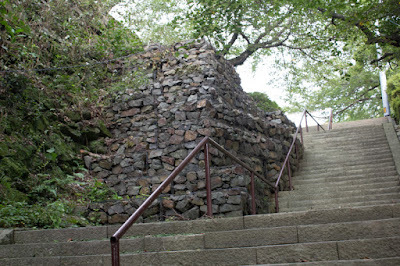 Tokushima castle (徳島城) is located at Shiroyama hill, the one of about 60 meter high at the center of Tokushima city. 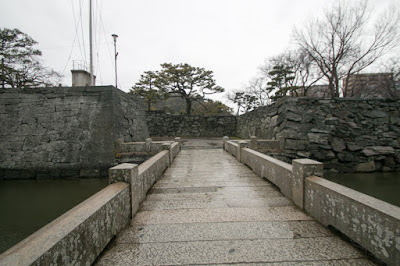 Tokushima city is located at the mouth of Yoshinogawa river flows from the center of Shikoku island, and also close to Naruto area which area faces Kinki region across Awaji island. 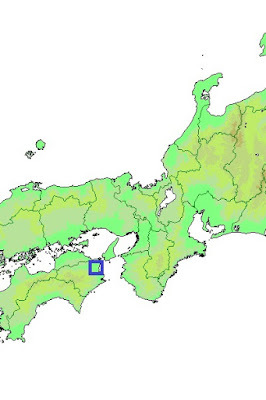 Due to its geographical location, Tokushima city is regarded as an entrance to Shikoku island from Kansai region. 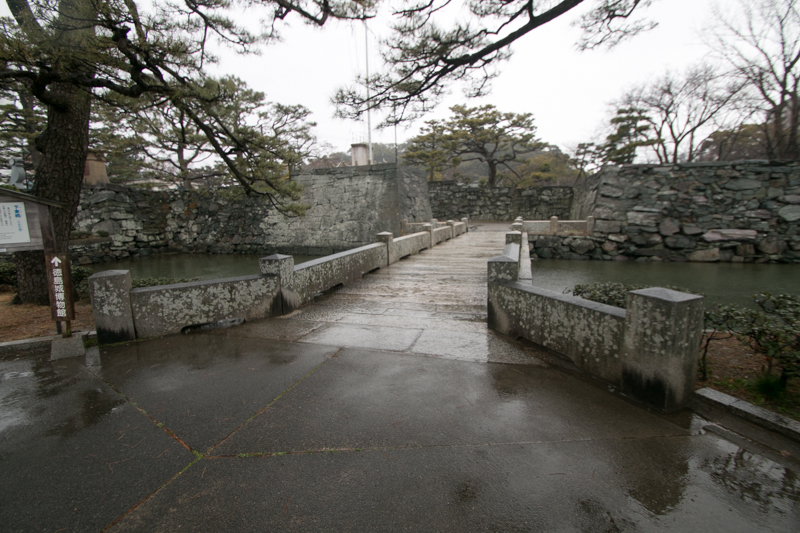 In Muromachi era, Awa country (Tokushima prefecture) was governed by Miyoshi clan, and Miyoshi clan resided Shozui castle along Old Yoshinoga river at 10 km north of current Tokushima city. 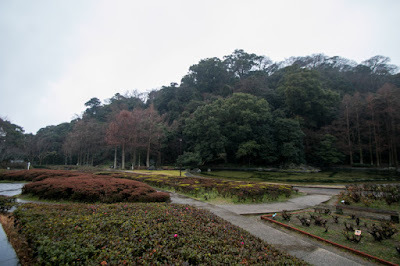 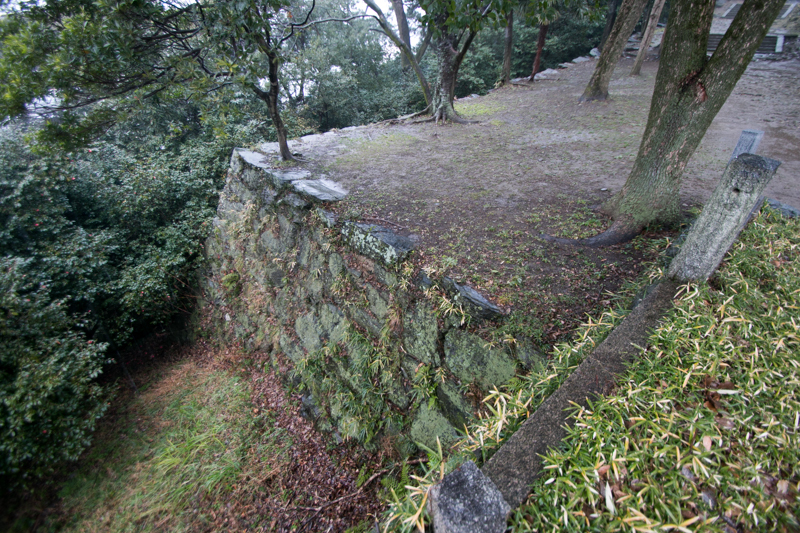 Shozui castle was originally built as a residence of governor in Kamakura era, and even though it was a large castle but located at flat land and not a secure one. 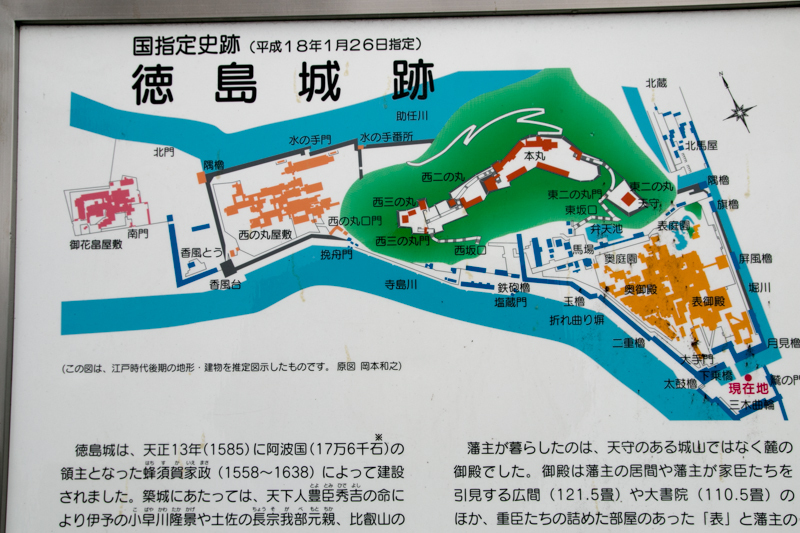 In 1582, Motochika Chosokabe (1539-1599), a warlord of Tosa country (Kochi prefecture) and aimed at the unite of Shikoku island, won against Miyoshi clan and sieged Shozui castle. 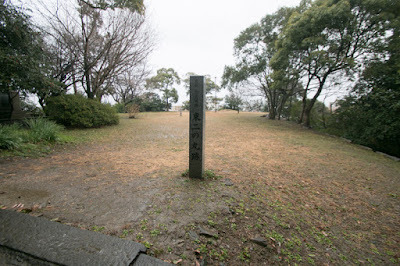 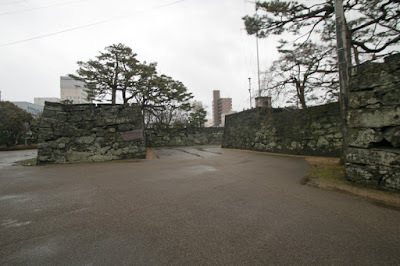 Miyoshi clan left Shozui castle and the castle was abolished, but three years later Chosokabe clan also lost country by the defeat at Shikoku campaign by central ruler Hideyoshi Toyotomi (1537-1598). 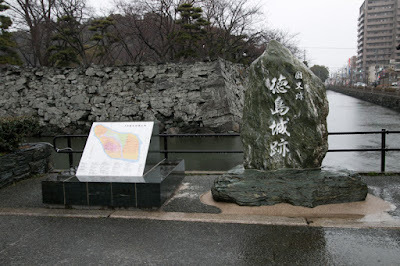 As Awa country direct faced Kinki region, the vital part of Toyotomi government, across Osaka bay, Hideyoshi placed Iemasa Hachisuka (1558-1639), son of Masakatsu Hachisuka (1536-1586) who was the oldest confidant of Hideyoshi, as a governor of Awa country. 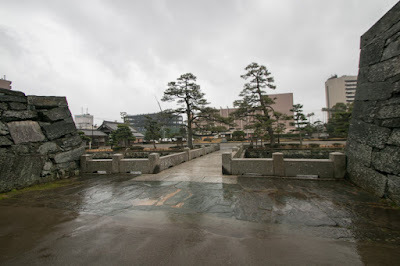 Masakatsu was originally a local lord at northwestern part of Owari country (western half of Aichi prefecture) at the border to Mino country (Gifu prefecture), and is said that he participated in river transpotaton along Kiro river and commerce leading his people. Later the fact he was the leader of party Masakatsu was regarded as a master of gang party, but as Masakatsu certificated he was not a brutal gang but a person with intelligence and care. 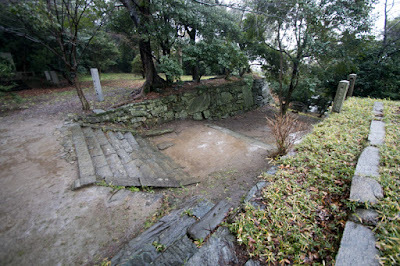 The precise situation is unknown but later Masakatsu became one of the oldest men of Hideyoshi along witn Nagayasu Maeno (1528-1595). 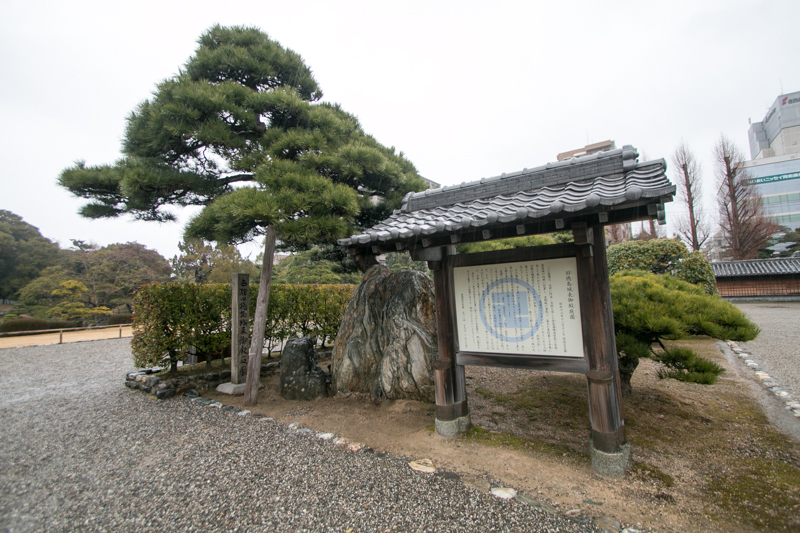 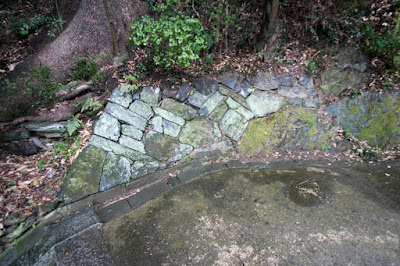 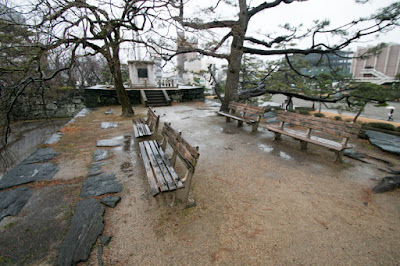 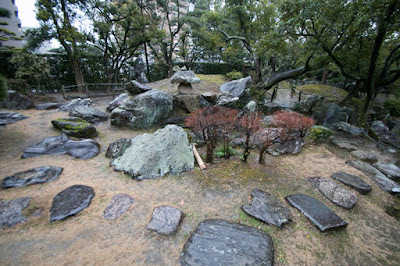 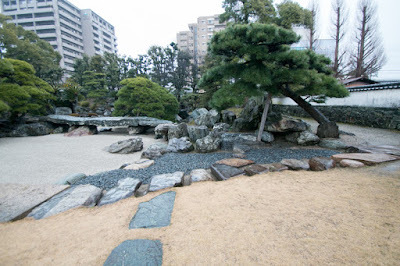 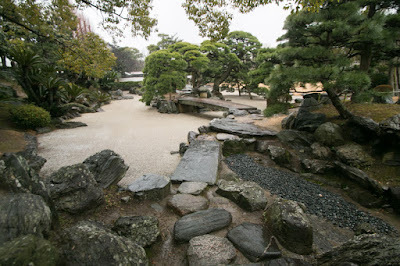 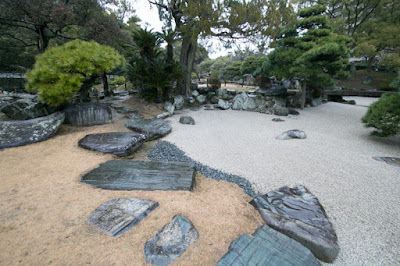 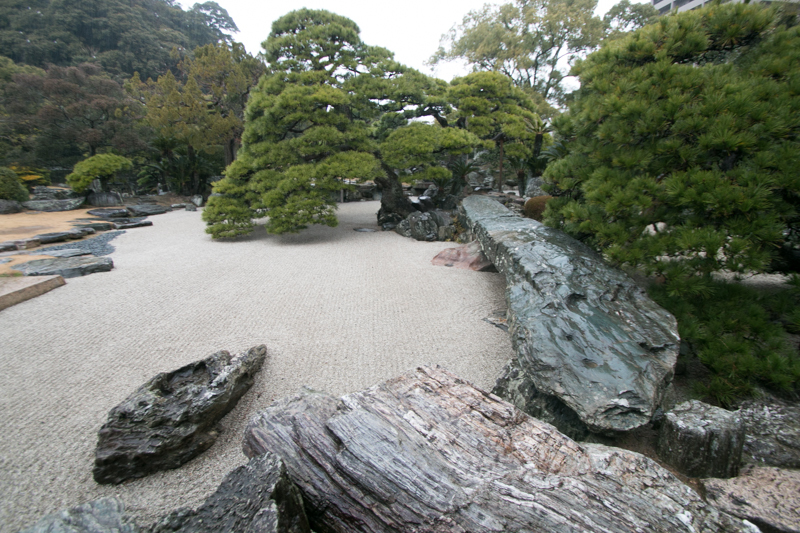 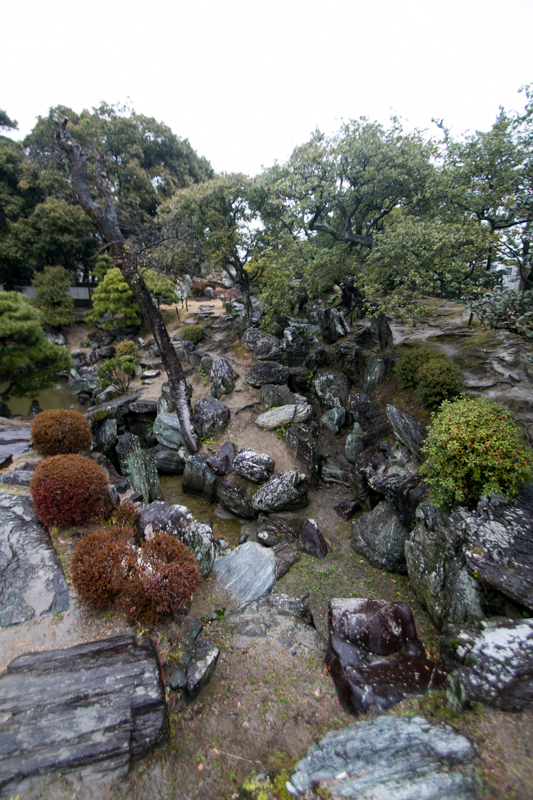 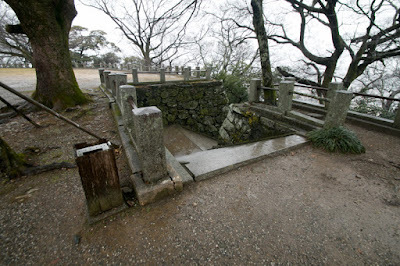 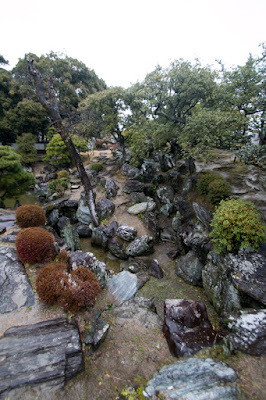 During the attack to Saito clan at Mino country, Masakatsu contributed to Hideyoshi utilizing his information and connection for Mino country. 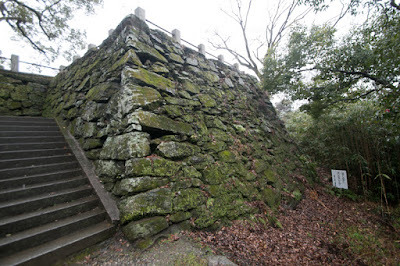 Apart from if the famous story of Sunomata One-day built castle is true or not, Hideyoshi activated in this attack and promoted to the general of Oda army who lead his own army. 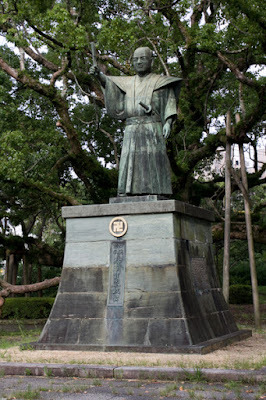 Among Hideyoshi army, Masakatsu was one of the major general and participated in many battles such as retreat of Kanegasaki (1569), the battle of Anegawa (1571) or the battle of Nagashino (1578). 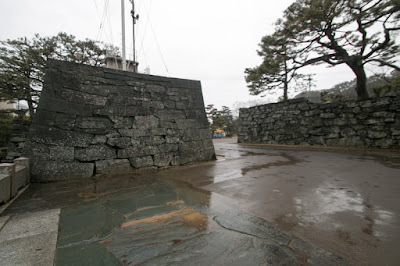 When Hideyoshi was appointed as a regional commander of Chugoku region, Masakatsu participated in the siege of Miki castle (1578-1580) and Tottori castle (1581) as a main force of Toyotomi. Due to this achievement, in 1581, Masakatsu was appointed as a commander of Tatsuno castle (Hyogo prefecture), an important castle to guard Himeji castle (Hyogo prefecture) which was the main base of Hideyoshi. In 1585, Hideyoshi who became the ruler started Shikoku campaign against Chosokabe clan which seized most part of Shikoku island. Masakatsu participated in the middle part force along with Hideie Ukita (1572-1655) and Yoshitaka Kuroda (1546-1604, famous as Kanbe), and captured castles in Sanuki country (Kagawa prefecture) and joined to the main force attacked Awa country lead by Hidenaga Toyotomi (1540-1591). 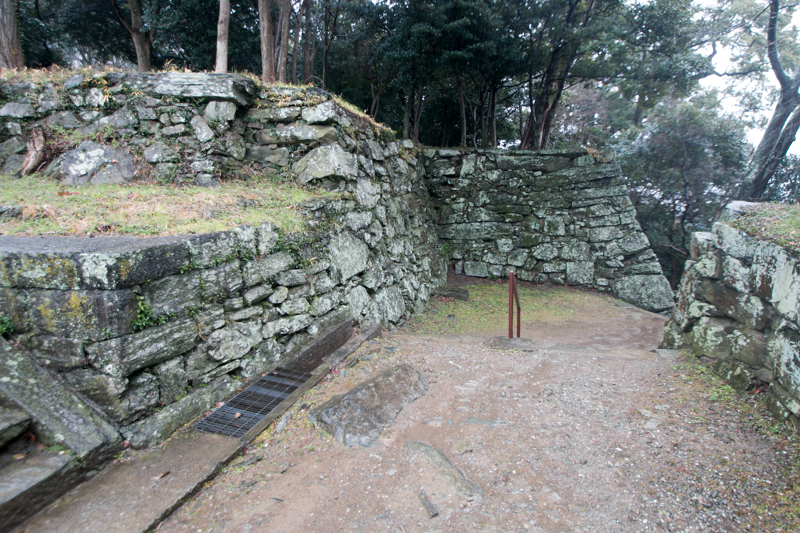 Toyotomi army fell Ichinomiya castle (Tokushima prefecture), the largest fortress of Chosokabe clan, and Motochika who realized inability to continue the battle decided to surrender to Hideyoshi. After the campaign Hideyoshi at first appointed Masakatsu as a governor of Awa country, but due to his old age Masakatsu declined it and asked Hideyoshi to send his son Iemasa to Awa country. 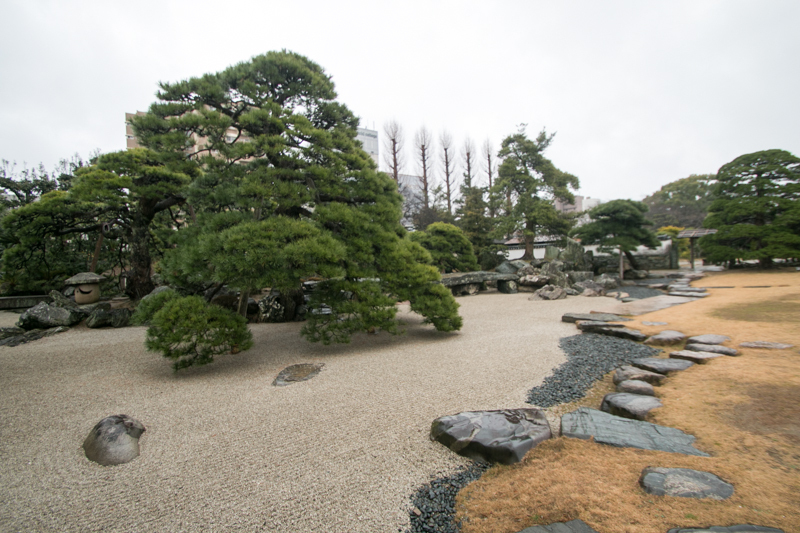 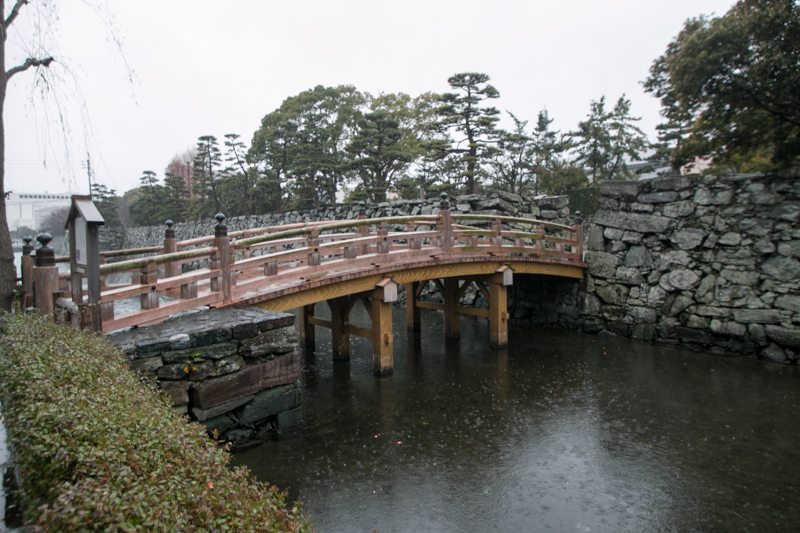 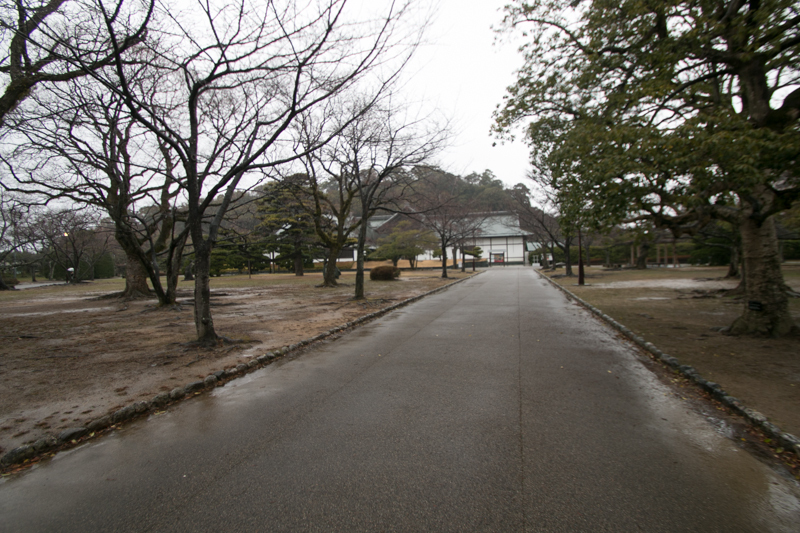 Masakatsu stayed near Hideyoshi at Kyoto and died nest year. 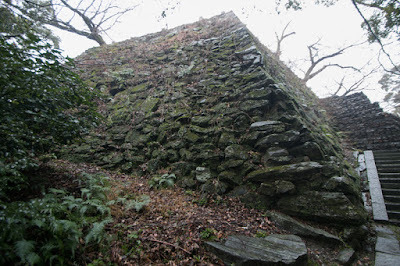 Iemasa at first used Ichinomiya castle as his base, but this castle located at narrow ridge and had no room for expansion, and also there was only little space for castle town. 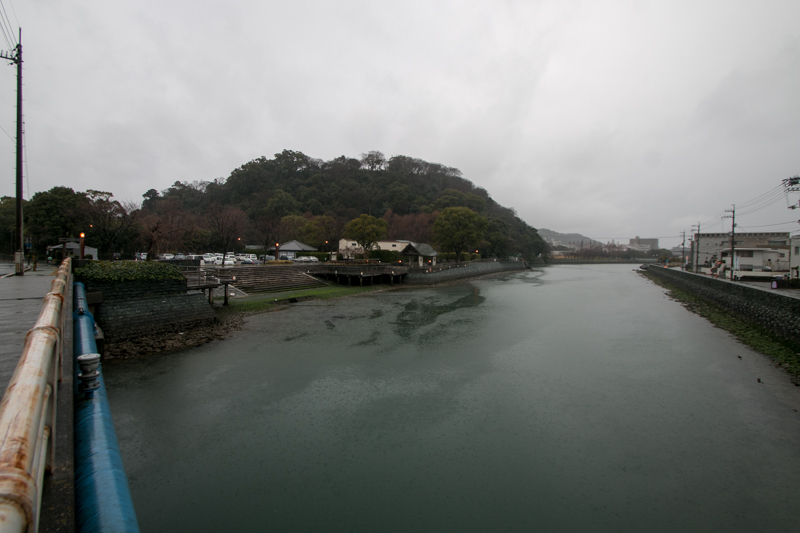 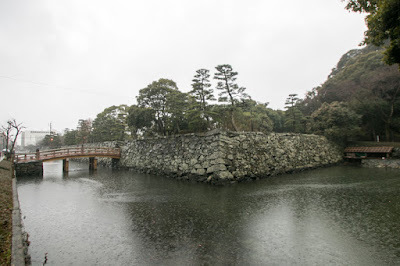 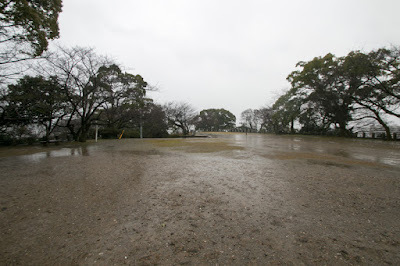 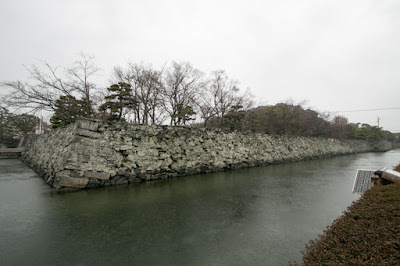 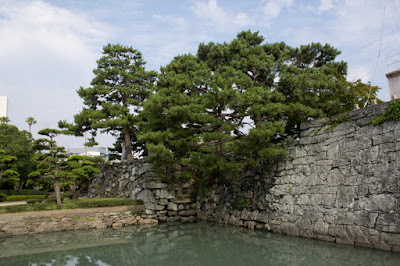 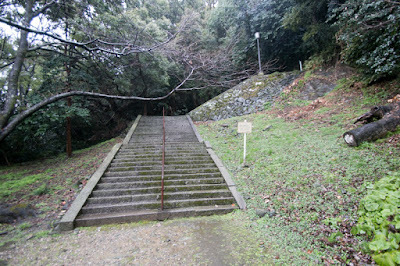 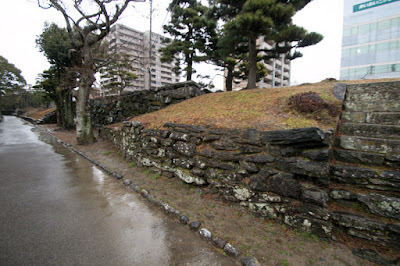 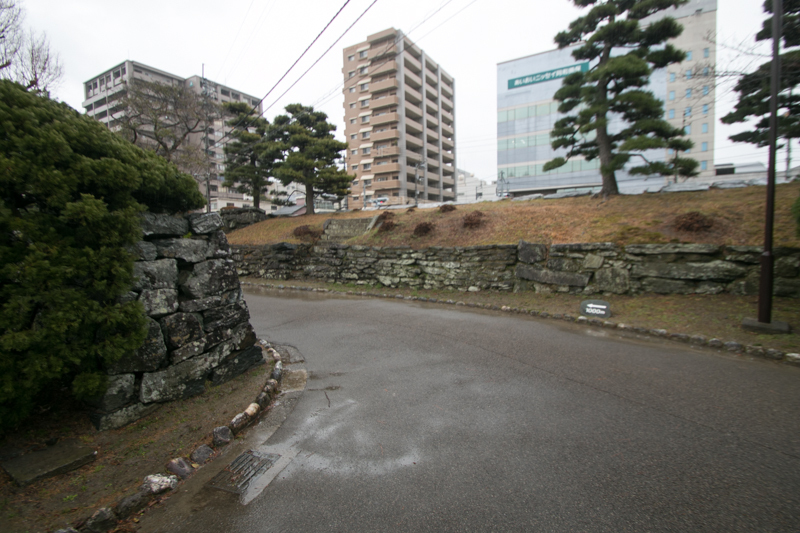 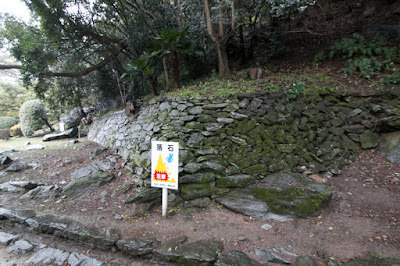 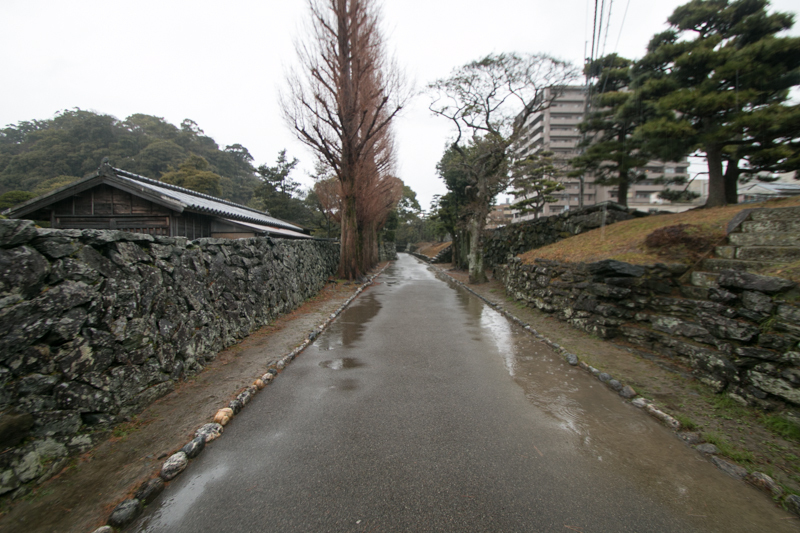 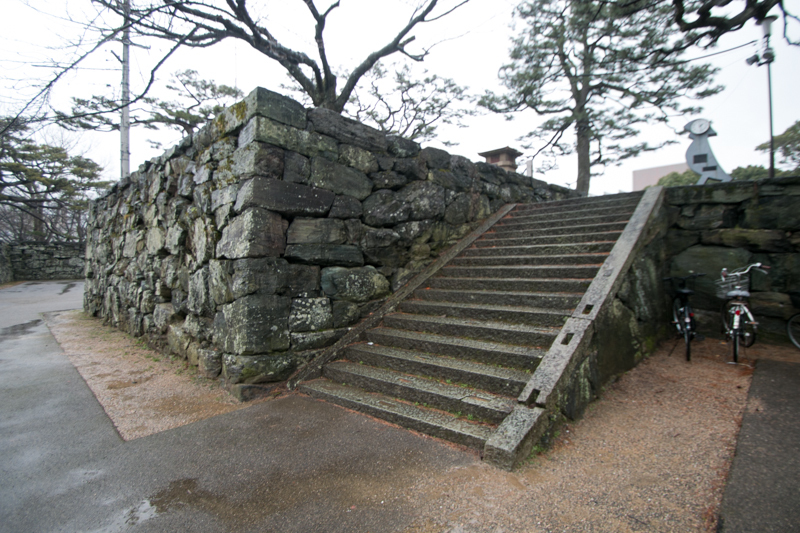 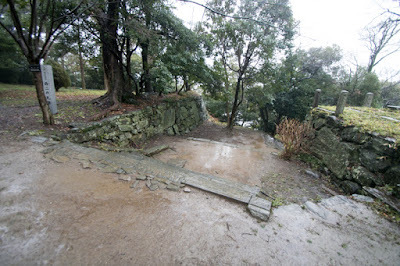 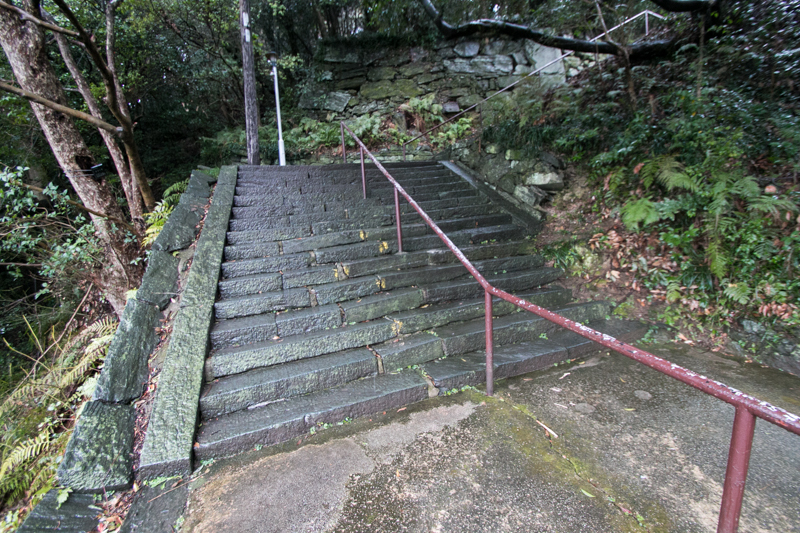 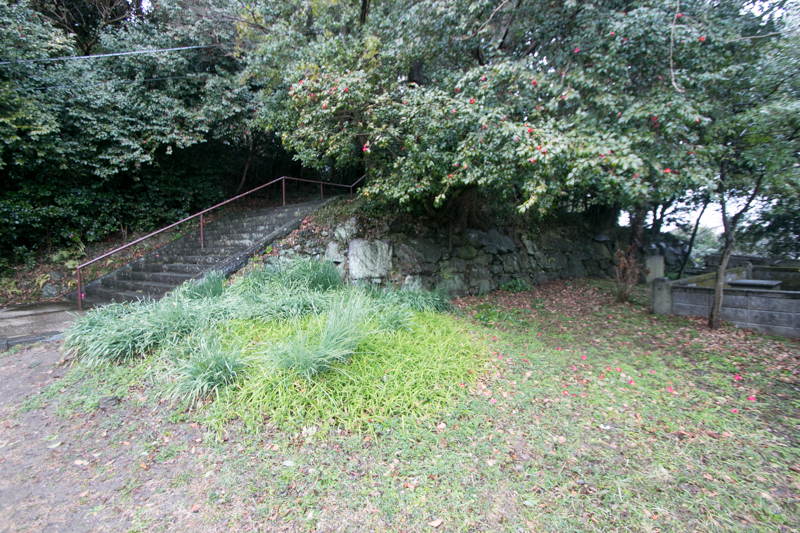 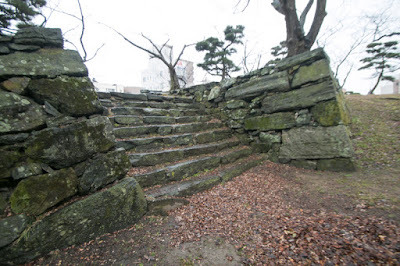 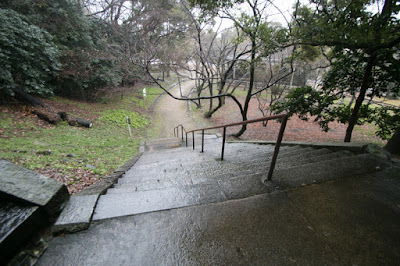 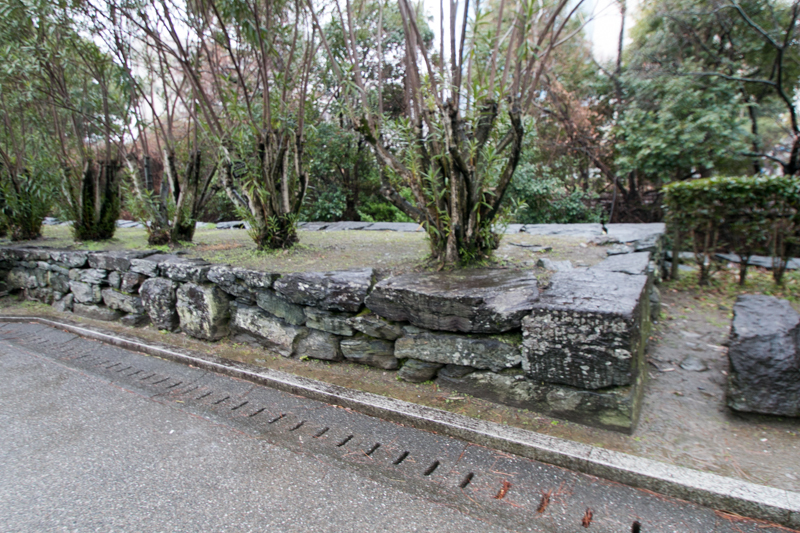 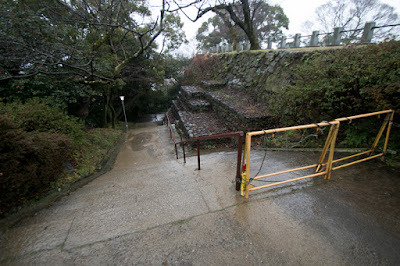 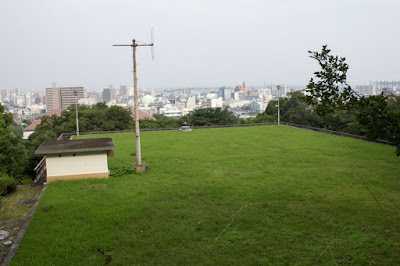 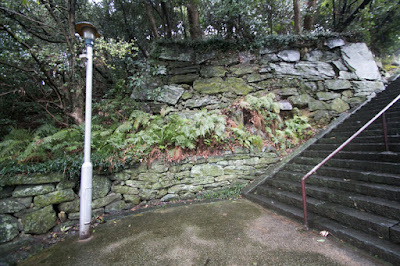 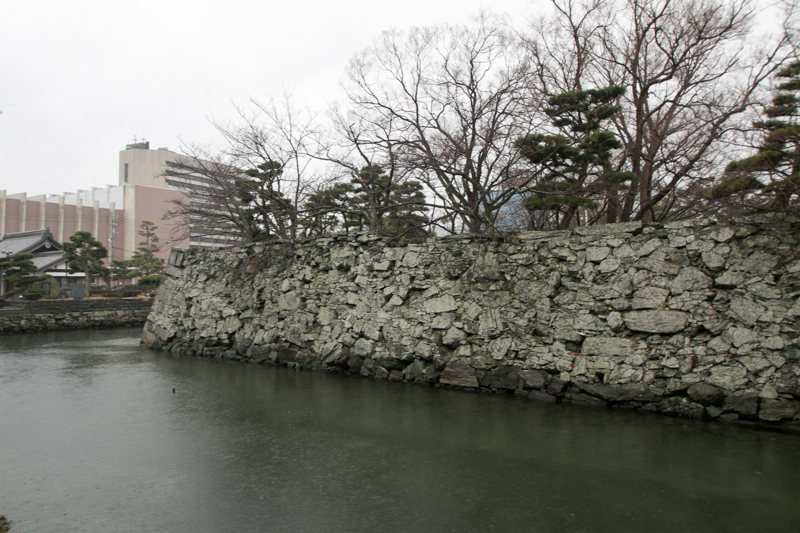 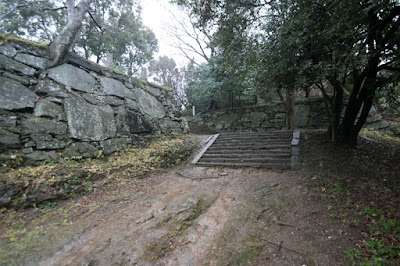 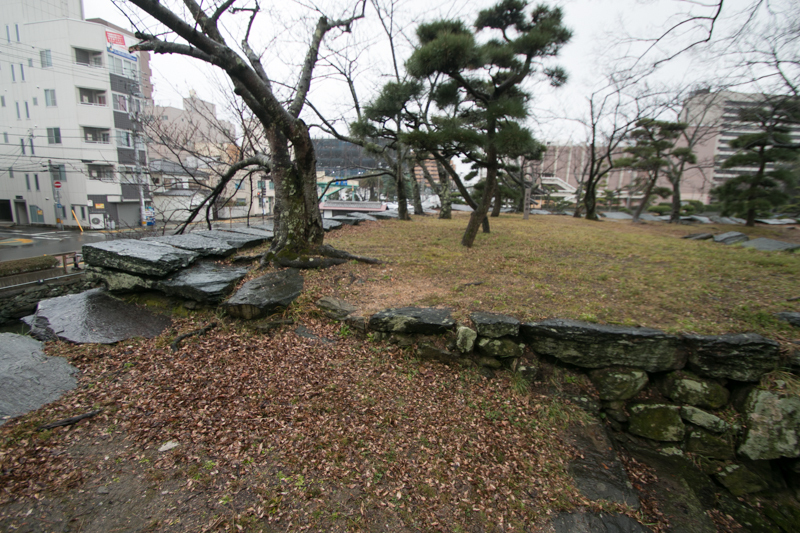 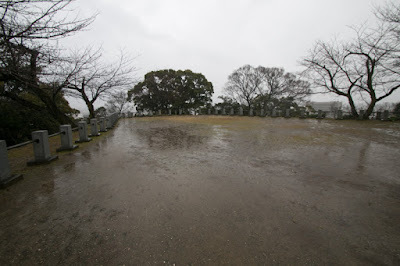 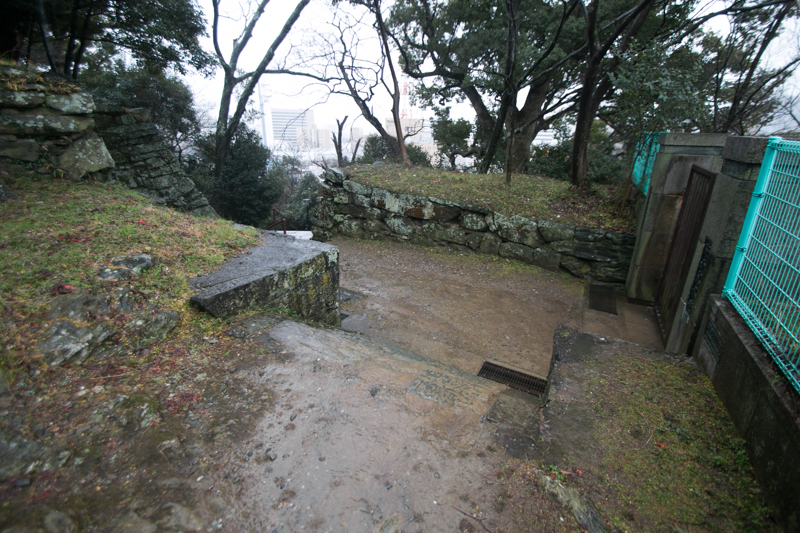 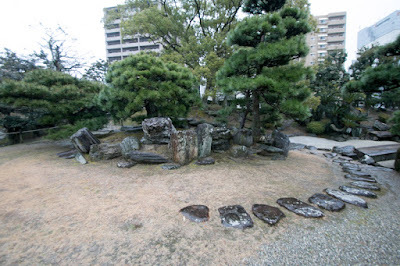 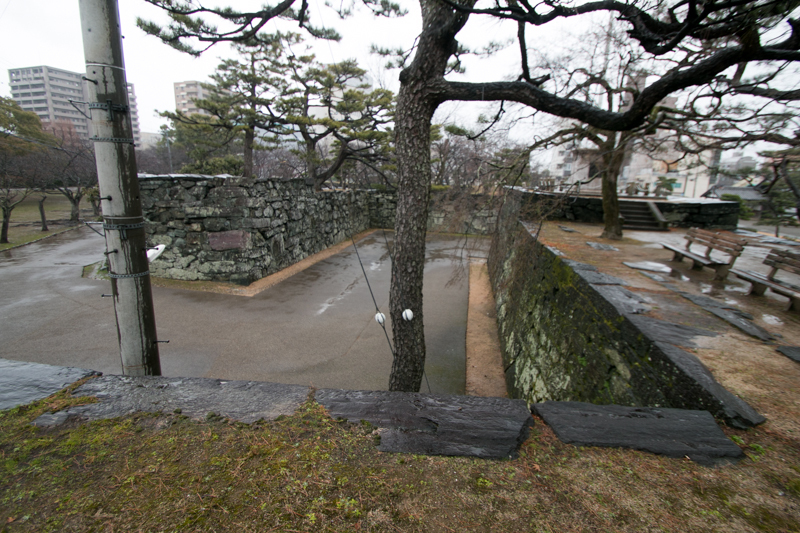 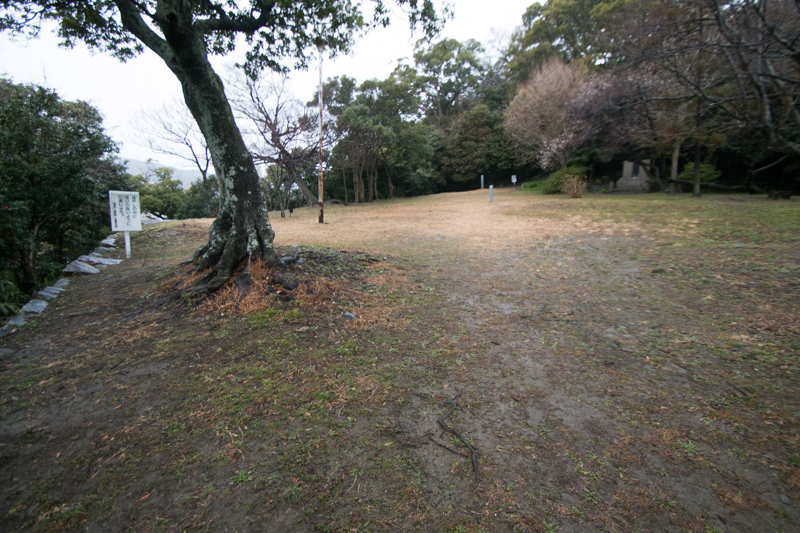 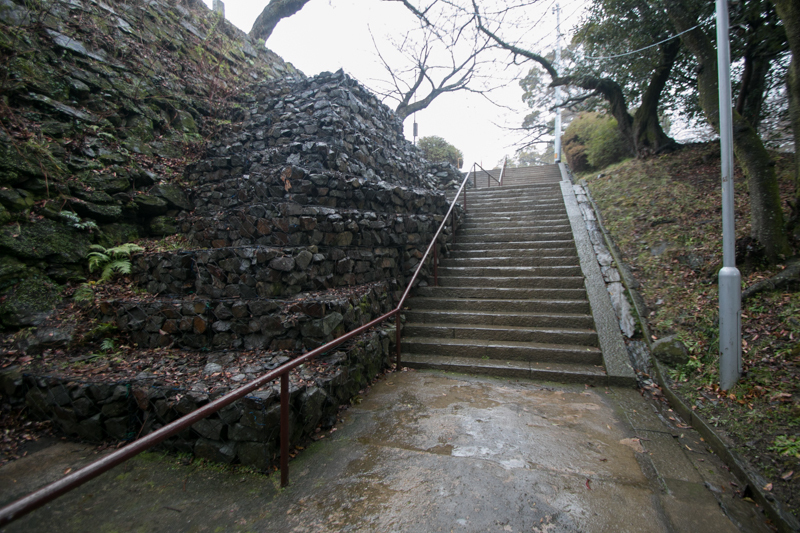 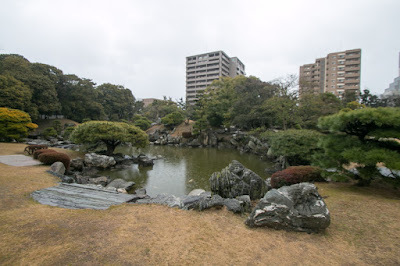 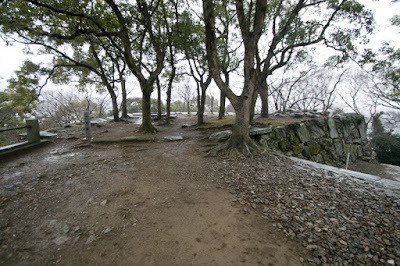 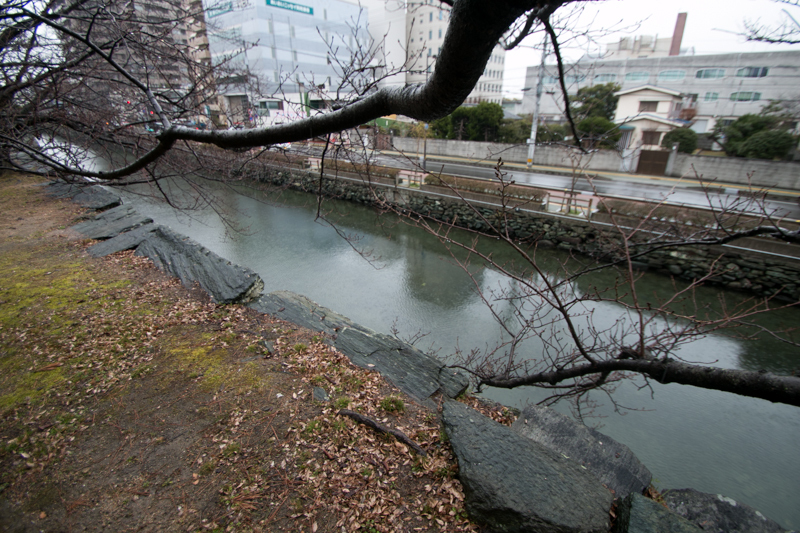 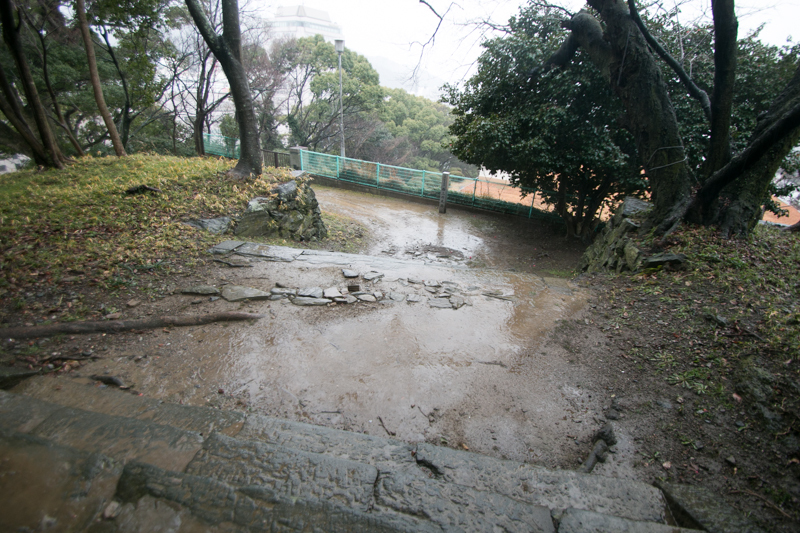 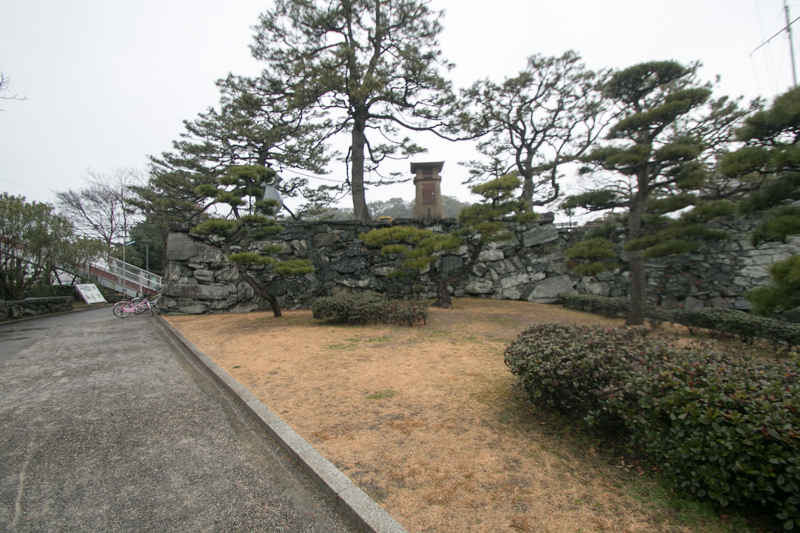 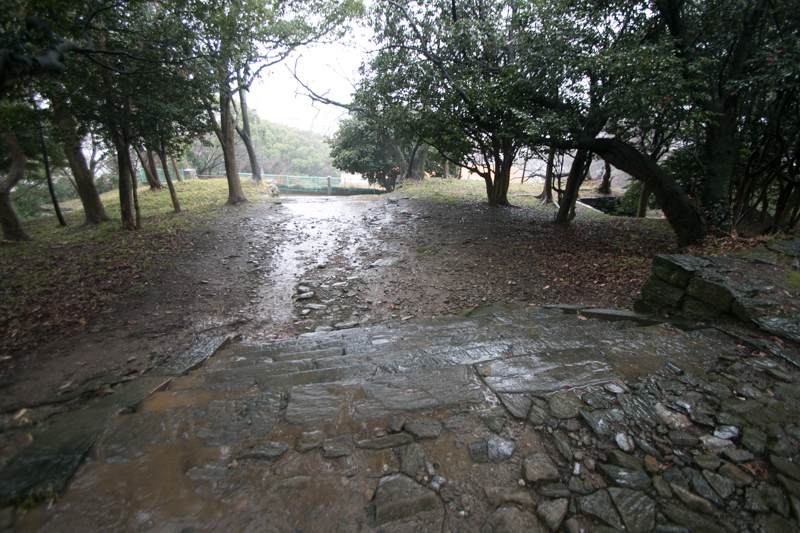 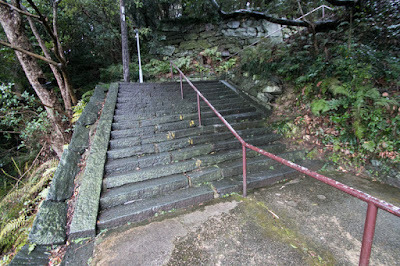 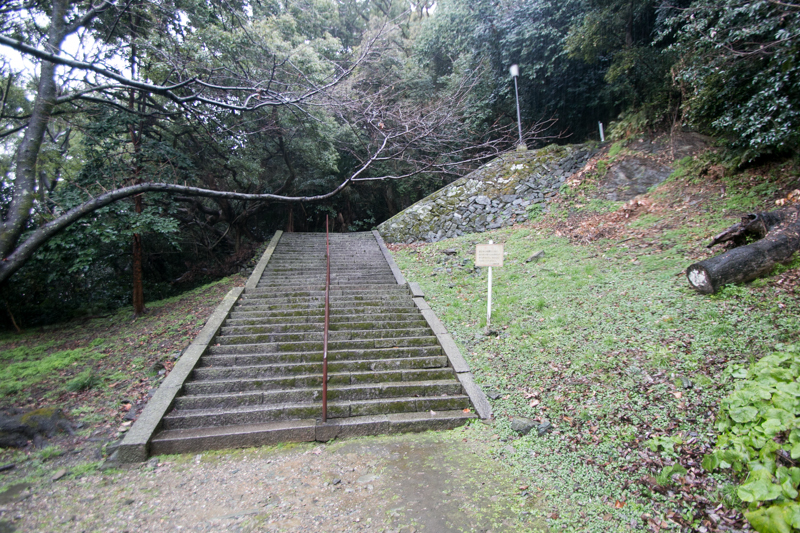 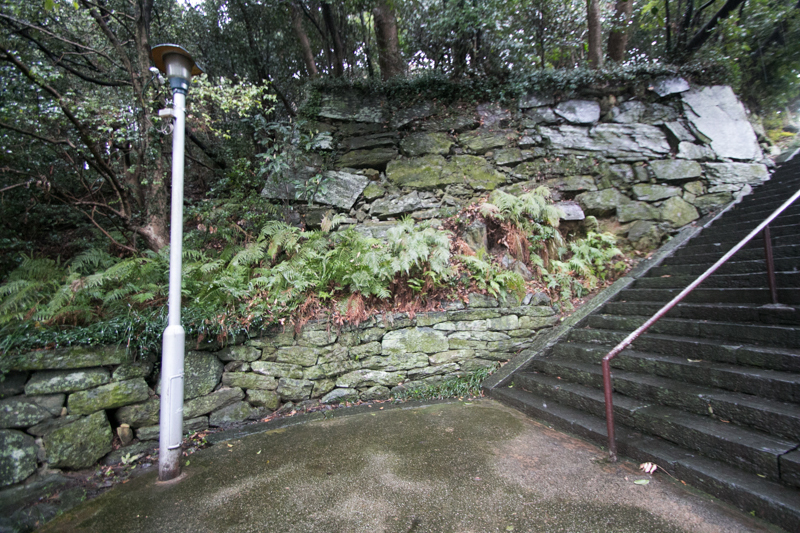 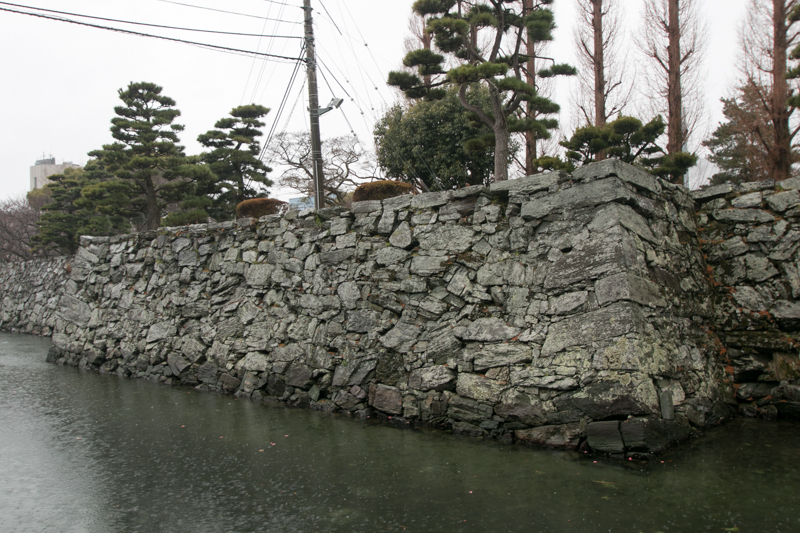 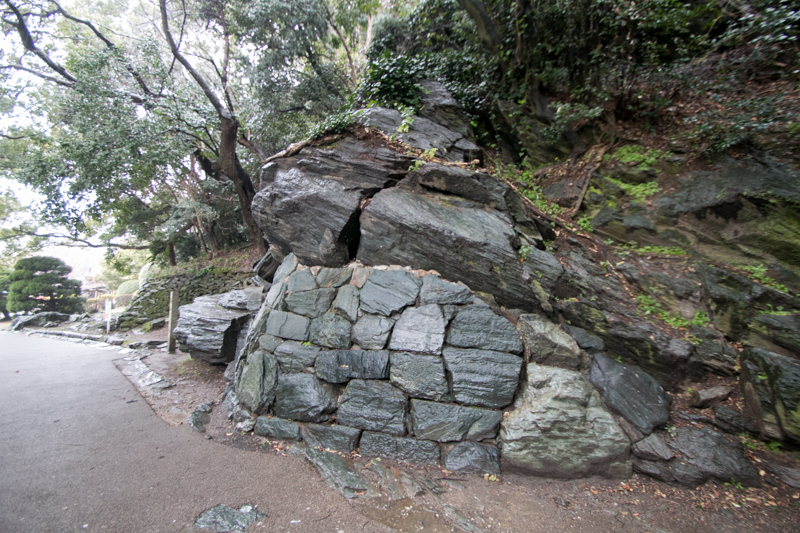 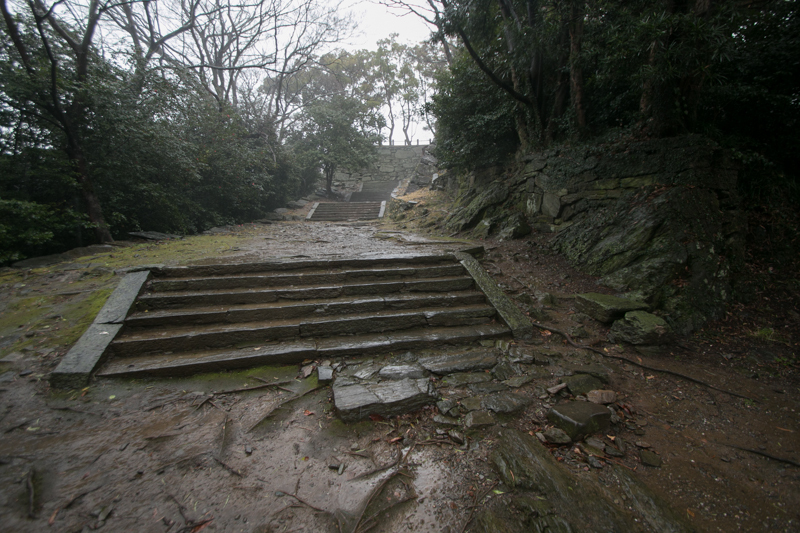 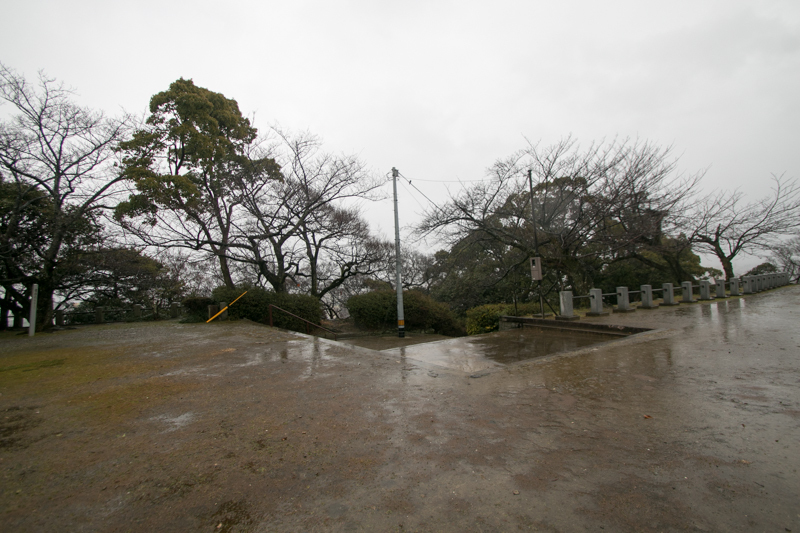 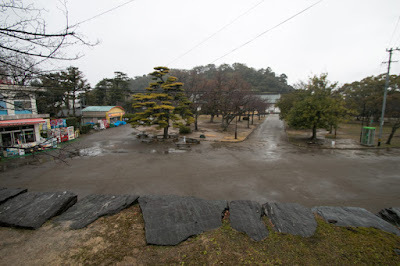 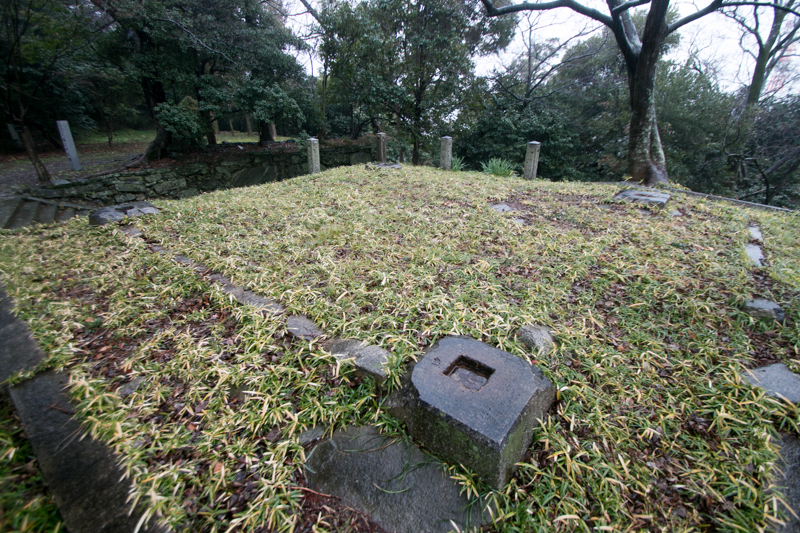 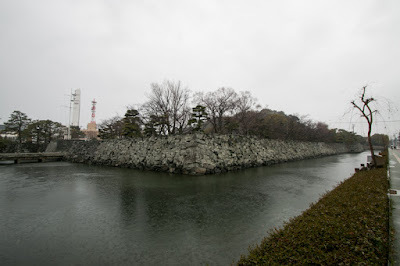 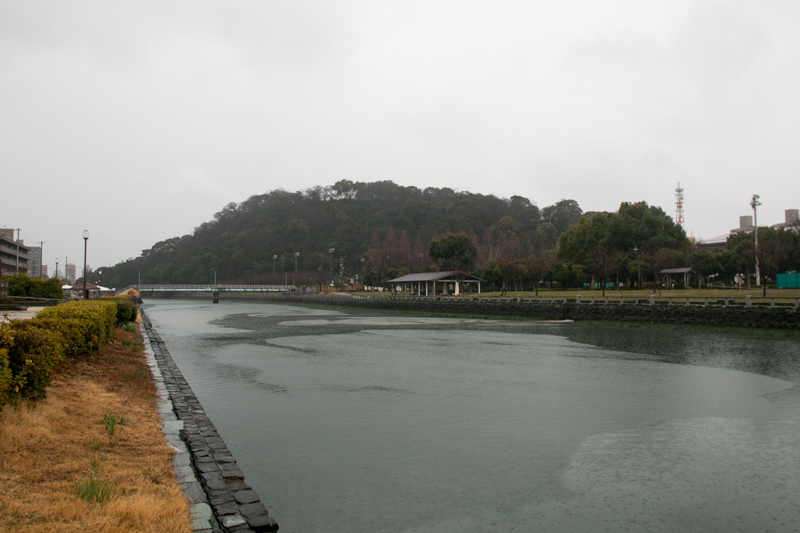 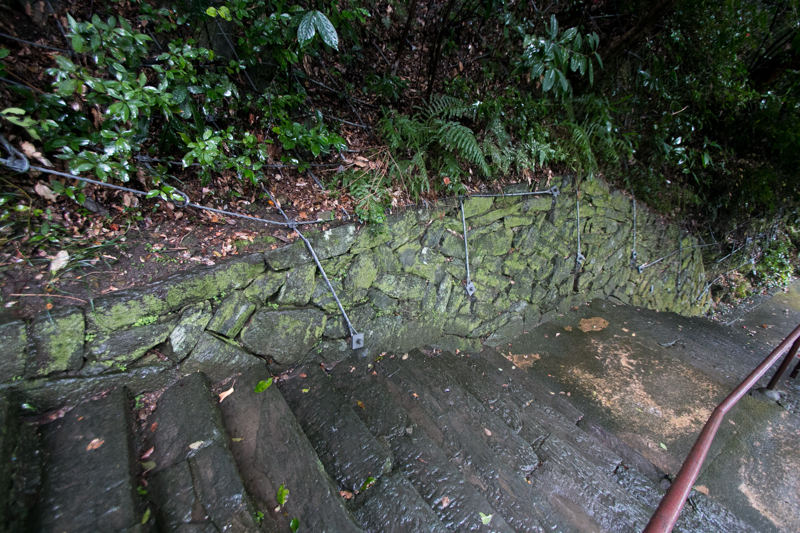 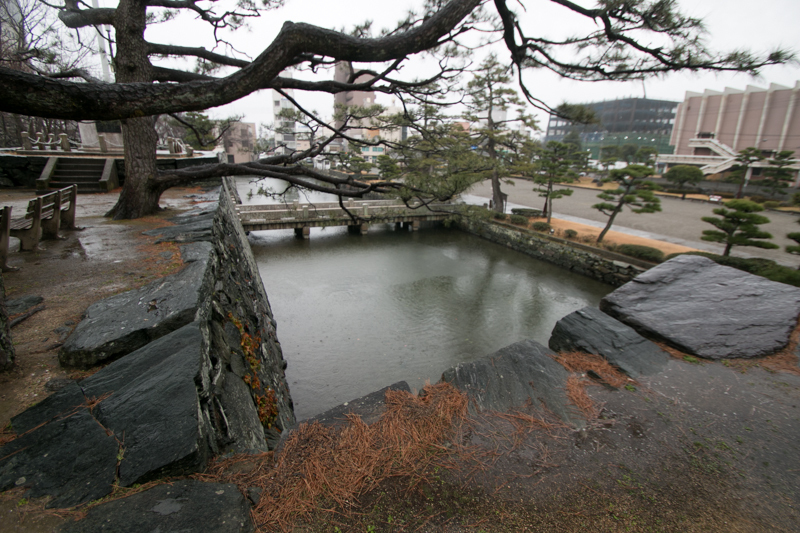 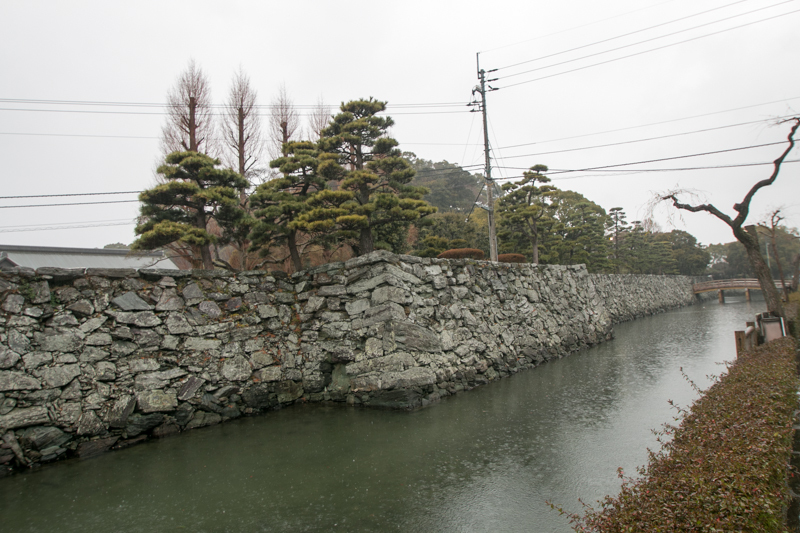 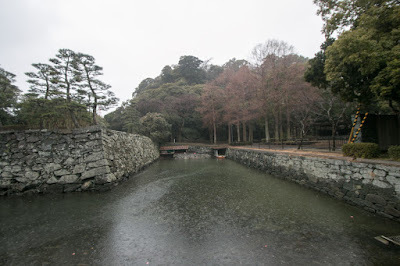 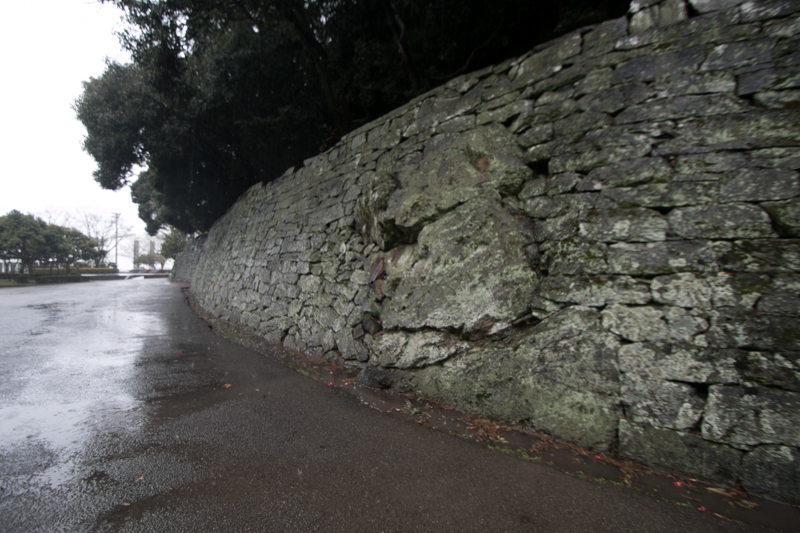 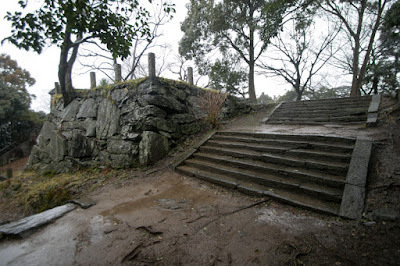 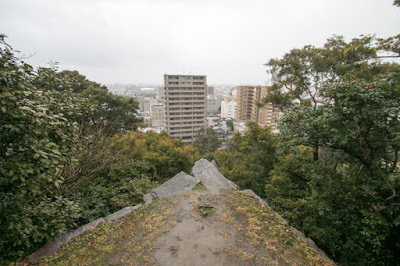 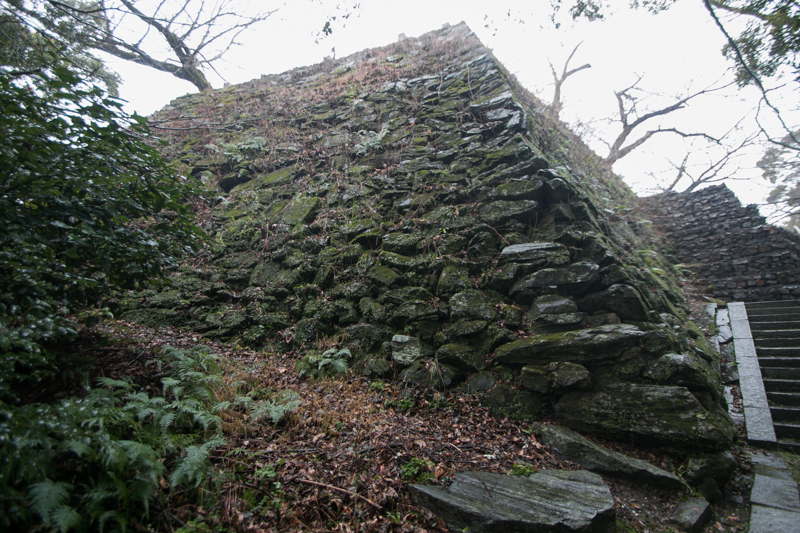 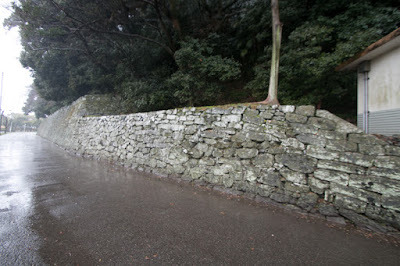 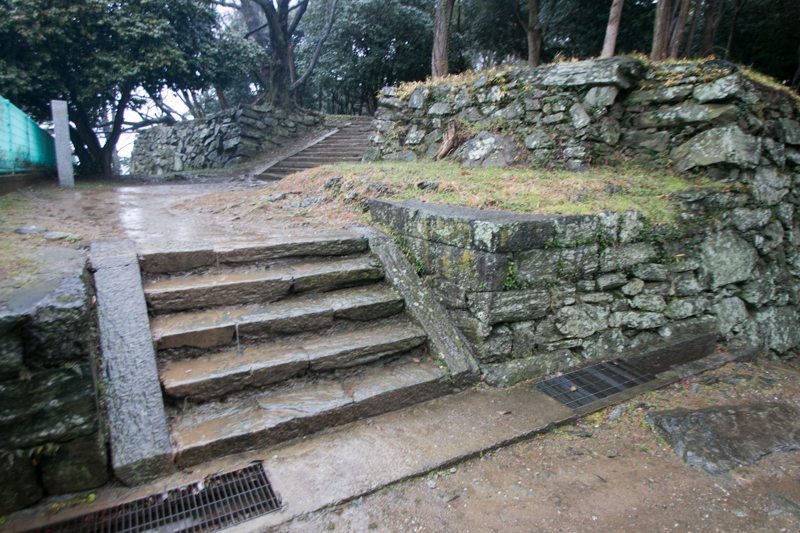 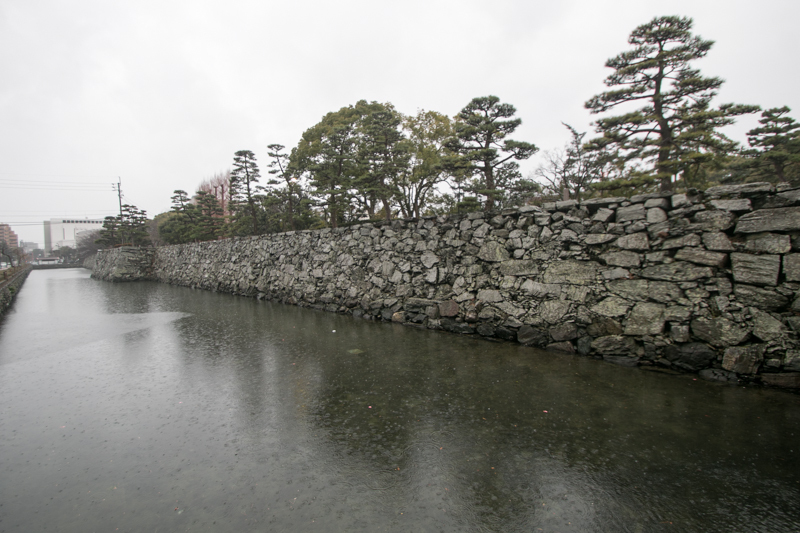 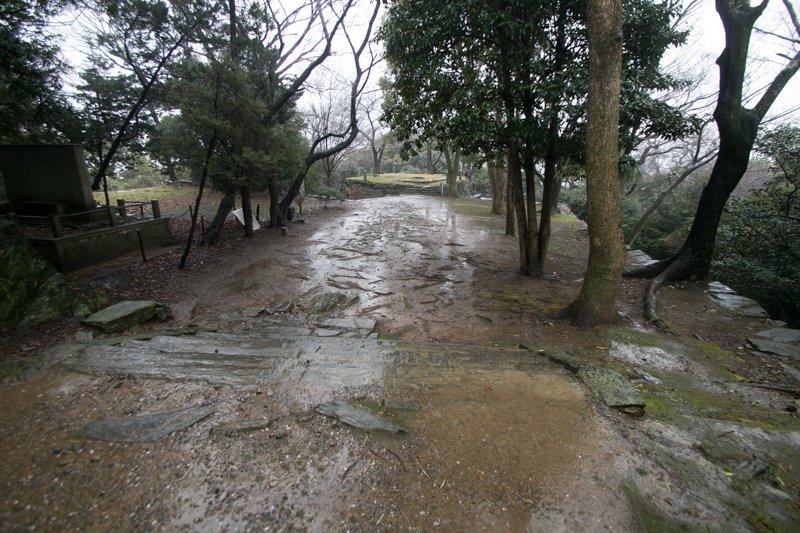 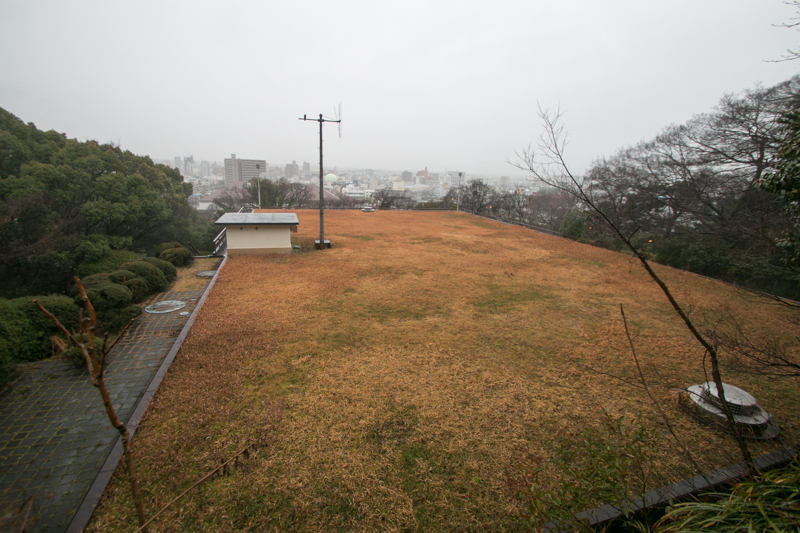 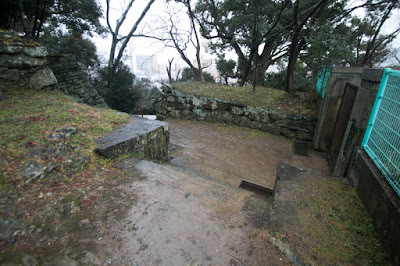 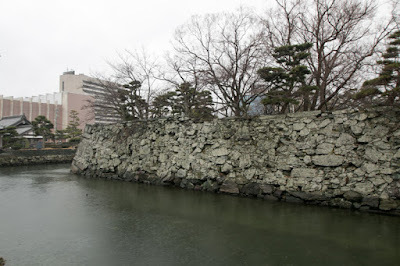 Further, former Shozui castle was not so strong castle build at plain area, and was exposed to a danger of flood. 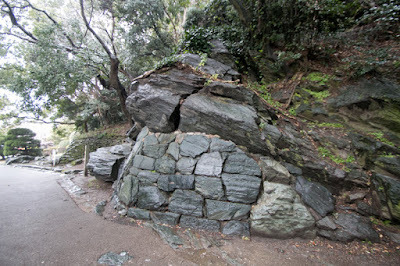 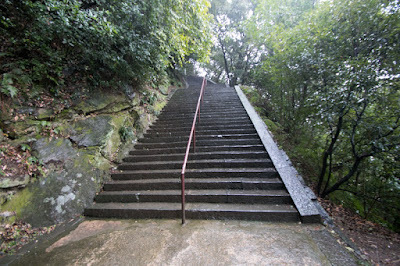 Considering these reason, as a fortress to guard Kinki region from Shikoku island, Hideyoshi ordered Iemasa to build a new castle at a hill located at the delta area of Yoshinogawa river. 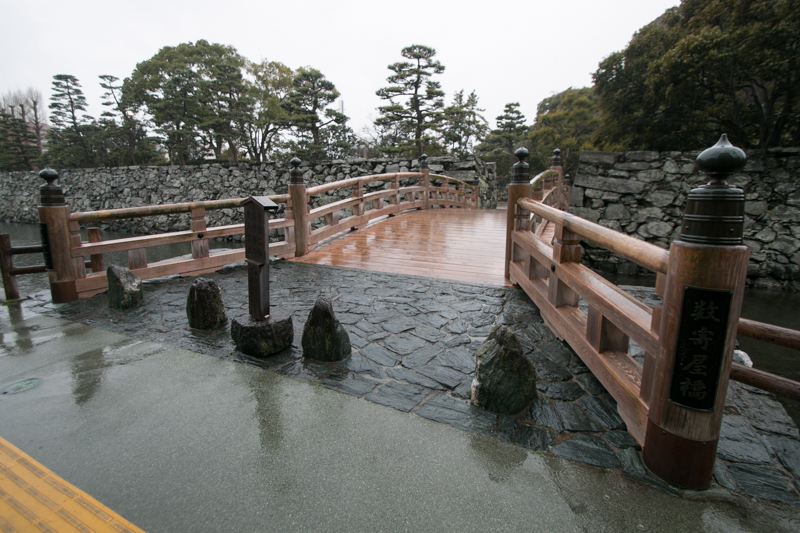 After one year construction, Iemasa completed Tokushima castle. 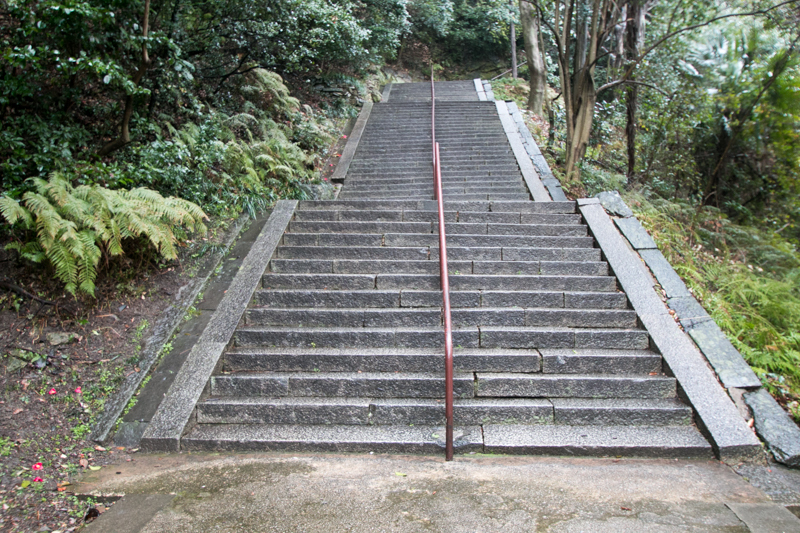 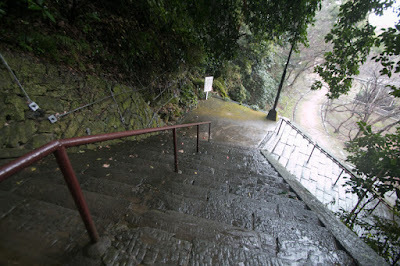 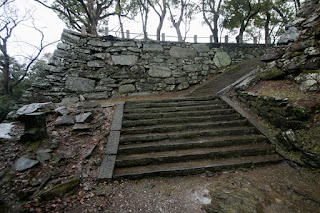 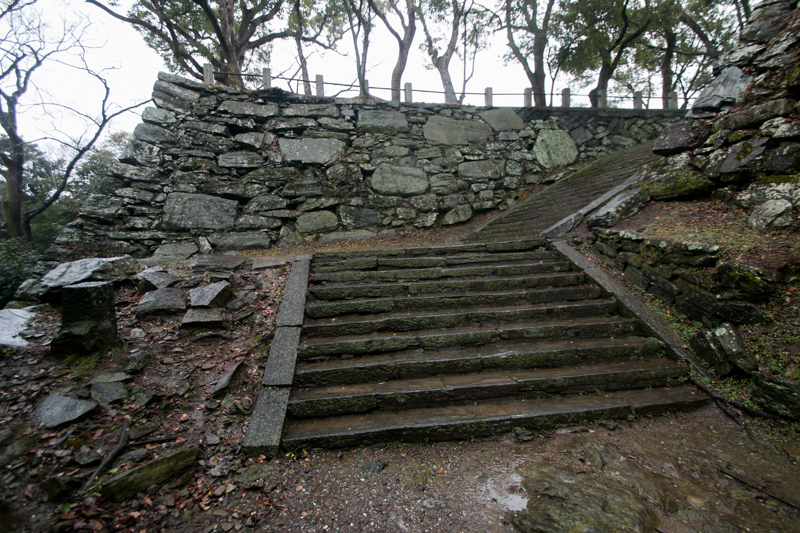 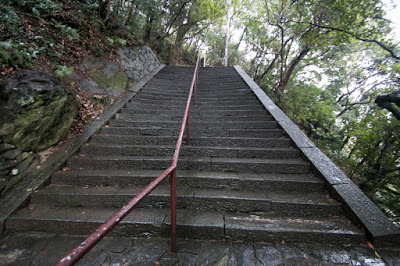 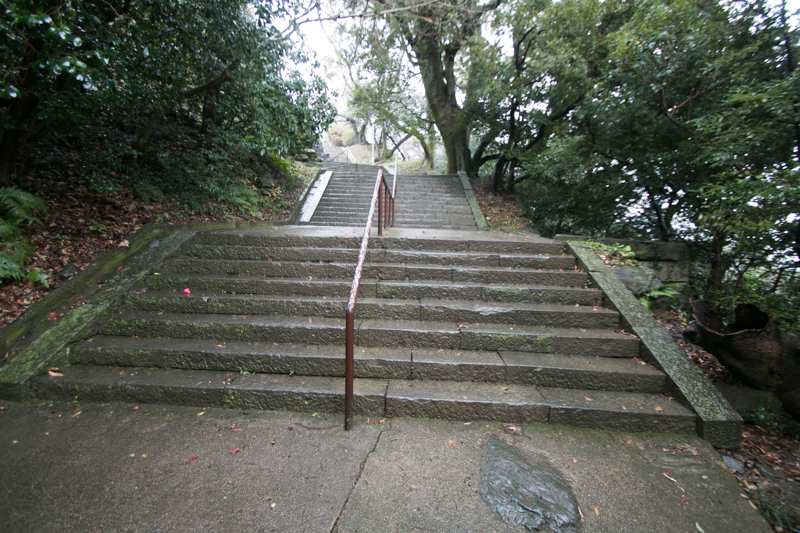 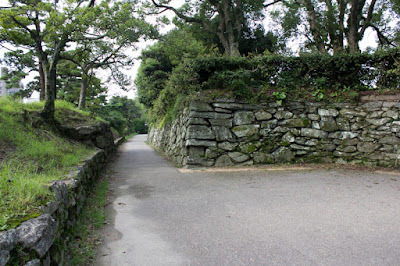 Tokushima castle is built at a long and narrow hill spread to east and west direction. 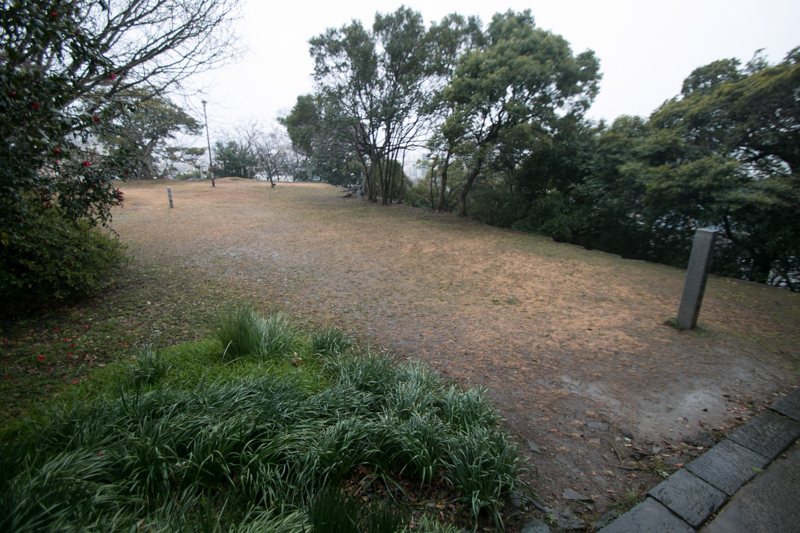 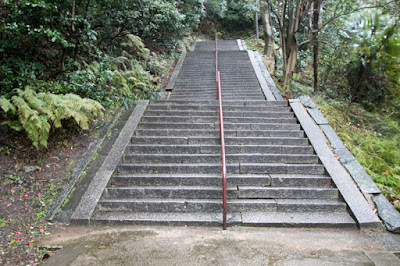 The central area located at the top of the hill, and as the hilltop area is flat, the central area is a long one of over 150 meter length. At the west of central area there are several terraces along the ridge, and this side might be the original front side of the castle. 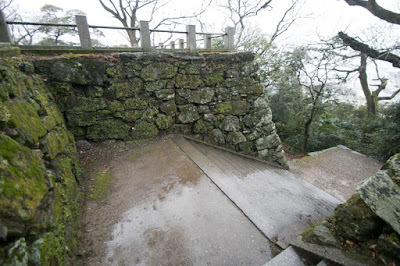 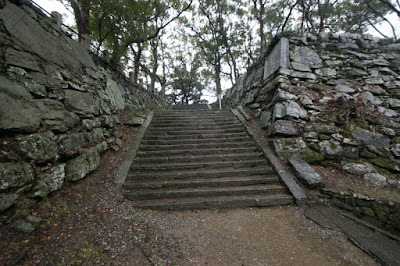 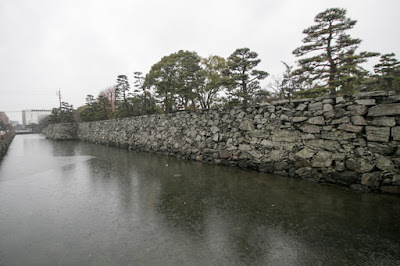 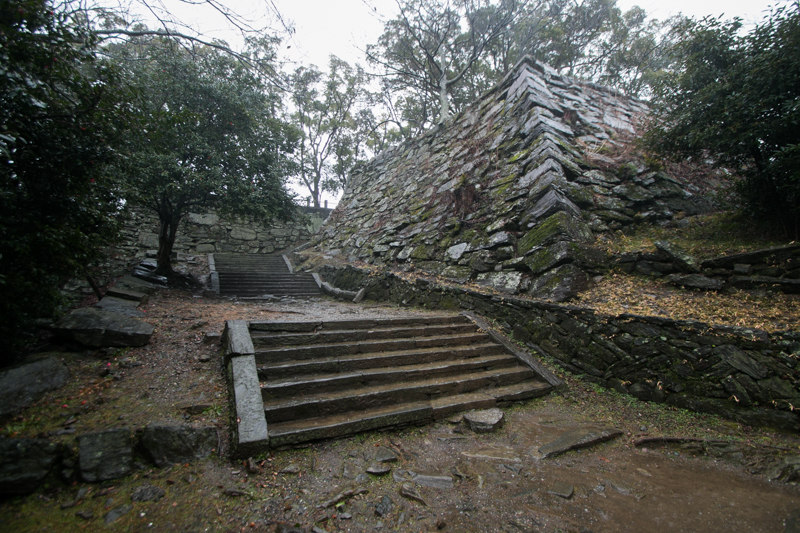 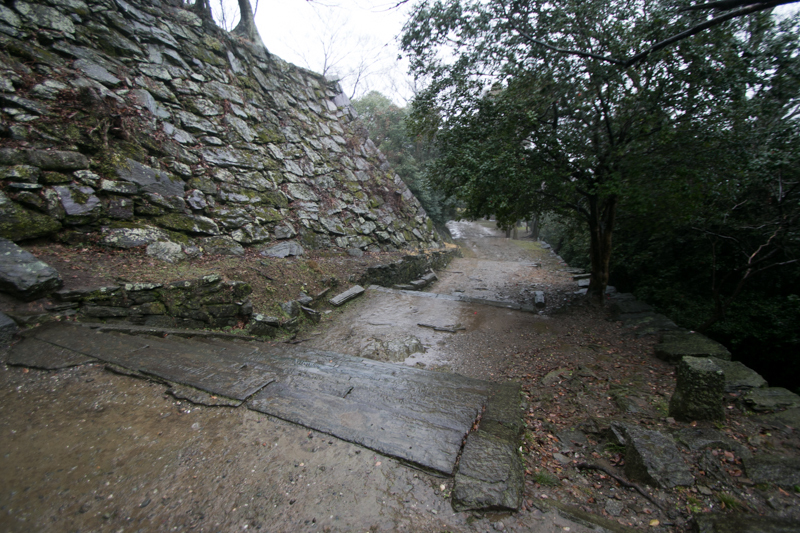 Same as other Toyotomi era castles the castle is guarded by winding stone walls affected by original terrain, and each area had complex gate (Masugata). 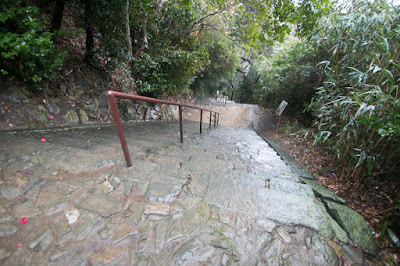 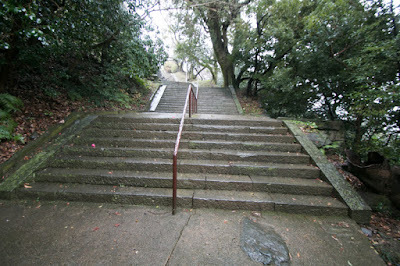 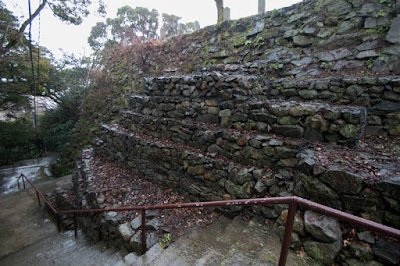 East side of the hill was originally backside area, but later a three story main tower was built at the east edge of the hill, and front gate was also built at this side. 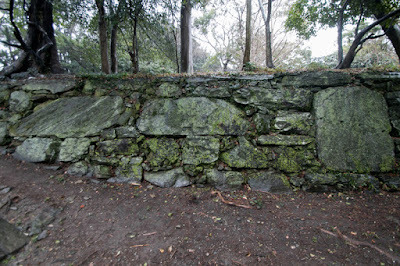 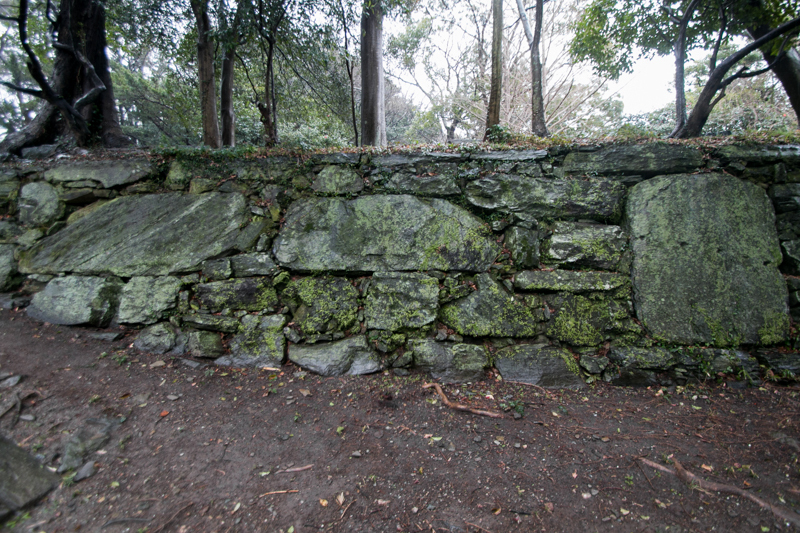 The stone wall of hilltop areas consist of relatively small and rough stones, and this shows major part of this castle was built before 1600. 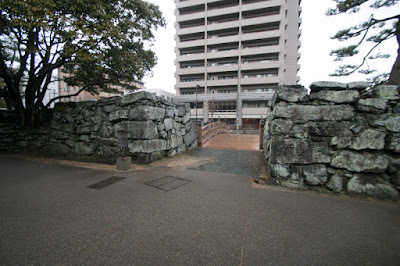 Iemasa participated in Kyushu campaign in 1586 and Odawara campaign in 1590, and well worked. 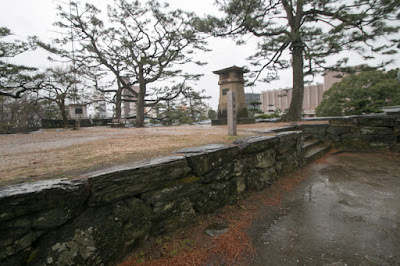 But at the same time Iemasa kept distance from the center of Toyotomi government, and Hachisuka clan was not involved in the political conflict in Toyotomi government (Nagayasu Maeno was involved in the purge of Hidetsugu Toyotomi (1568-1595) and forced to suicide). 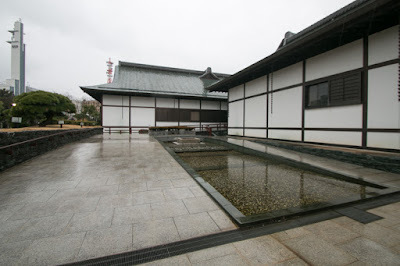 After the death of Hideyoshi in 1598, Iemasa promptly let his son Yoshishige Hachisuka (1586-1620) marry with an adopted daughter of Ieyasu Tokugawa (1543-1616), the largest lord under Toyotomi government. 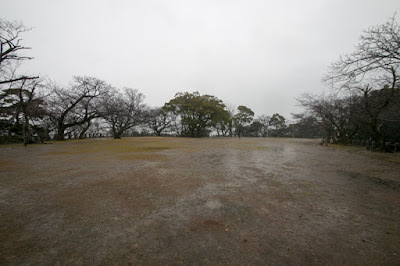 In 1600, the battle of Sekigahara between Ieyasu and Mitsunari Ishida (1560-1600), the primary administrative staff of Toyotomi government, occurred. Iemasa sent Yoshishige with small army to Ieyasu’s army, then Tokushima castle was attacked by Ishida side army because it was close to Kinki region, the main base of Ishida side. 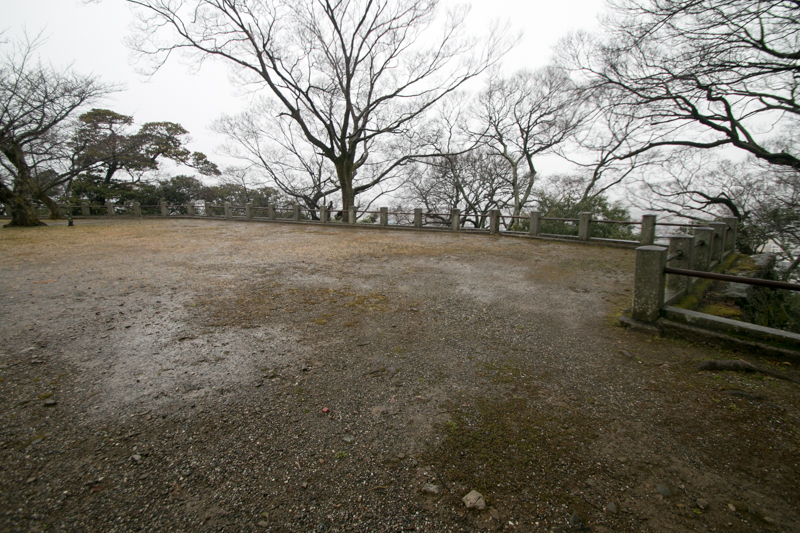 Yoshishige retired and became priest then escaped to Koyasan temple, and Tokushima castle was occupied by Mouri clan who supported Mitsunari. But finally Ieyasu won against Mitsunari at the battle, then Tokushima castle was returned to Hachisuka clan. After the battle Yoshishige retired as it is and Yoshishige succeeded the leader. Yoshishige activated at the battle of Osaka castle in 1614 and 1615, then Hachisuka clan finally they got Awajishima island along with Awa country. Hachisuka clan had kept their territory by the end of Edo era. 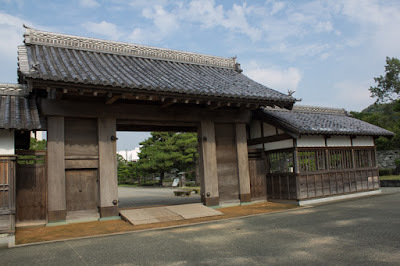 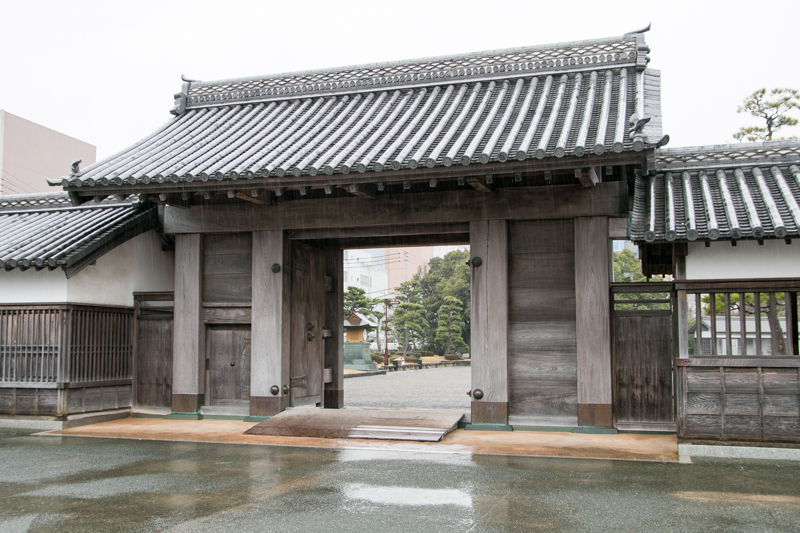 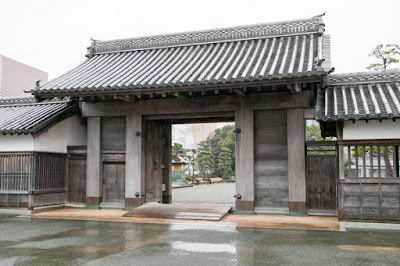 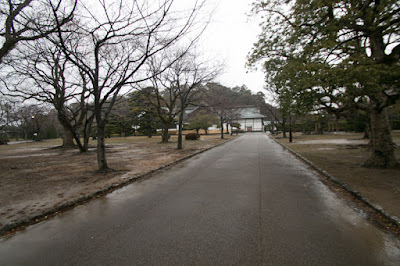 Although they were in unstable position as a house of confidant of former ruler, due to its luck and proper decision they could survive as a large feudal lord at important place. 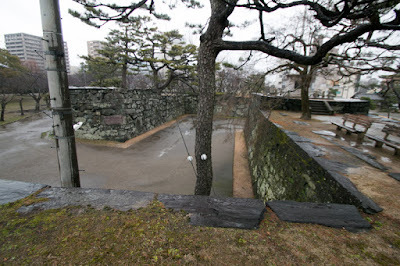 Including the fact that Masakatsu belonged to Hideyoshi at very early stage, this clan had a lot of foresight. Subsequent to Meiji revolution all buildings except for one gate was lost, and remaining gate was also burned down in WW2. 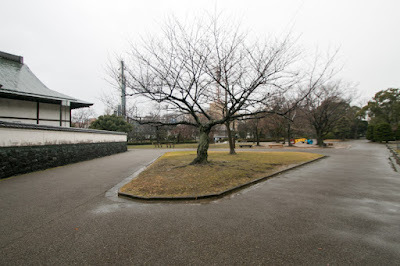 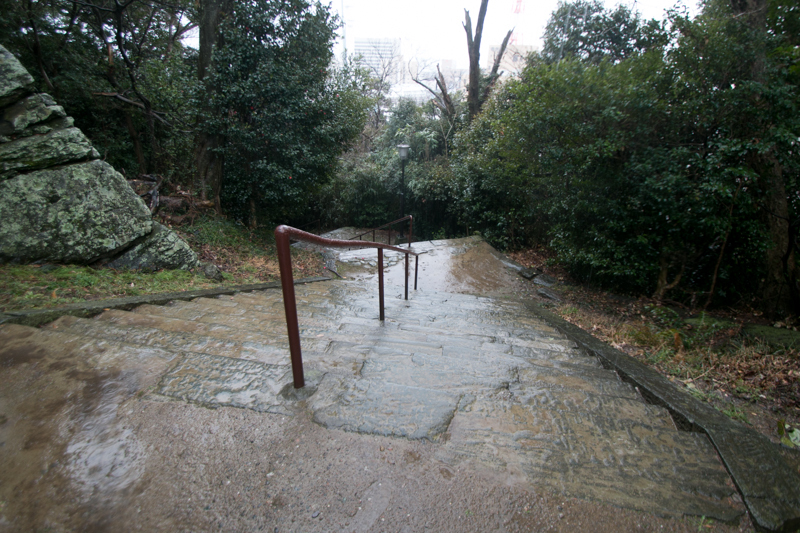 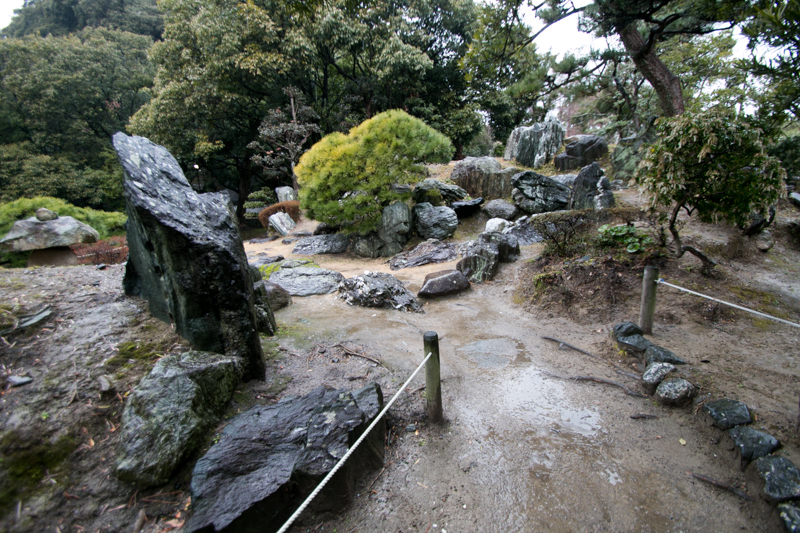 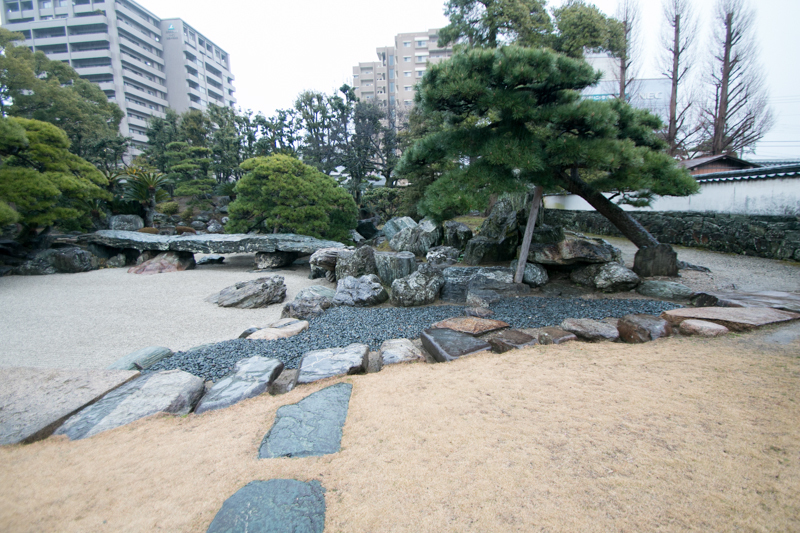 Now the site of the castle is used as a park, and an imitation of main gate was built at the entrance. 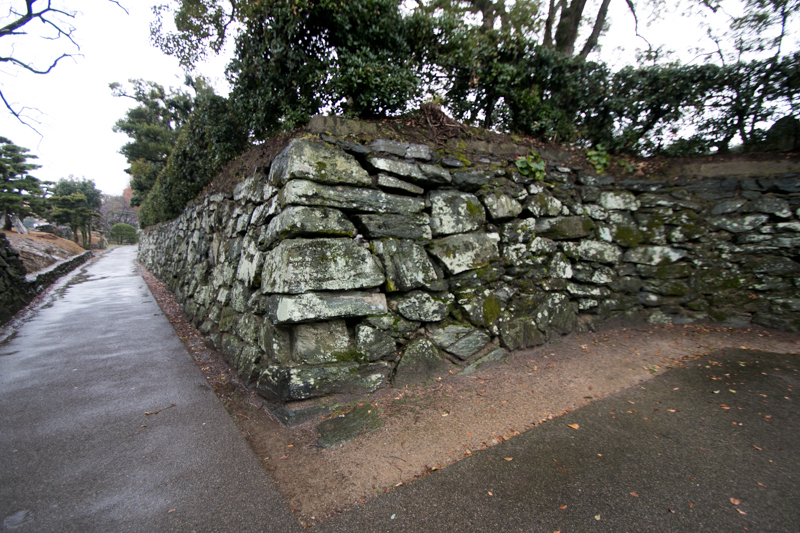 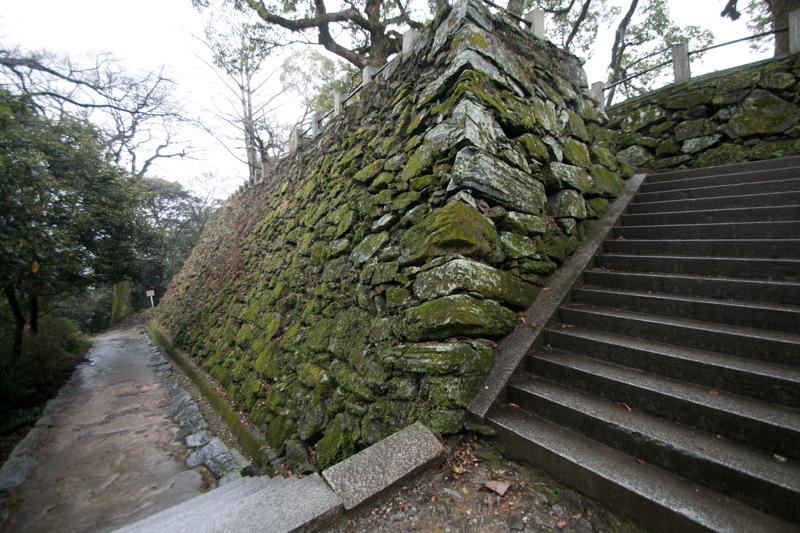 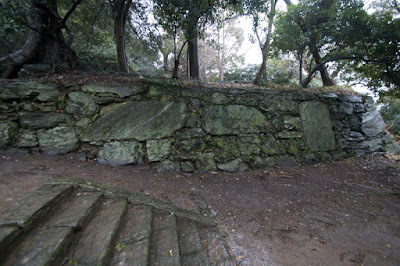 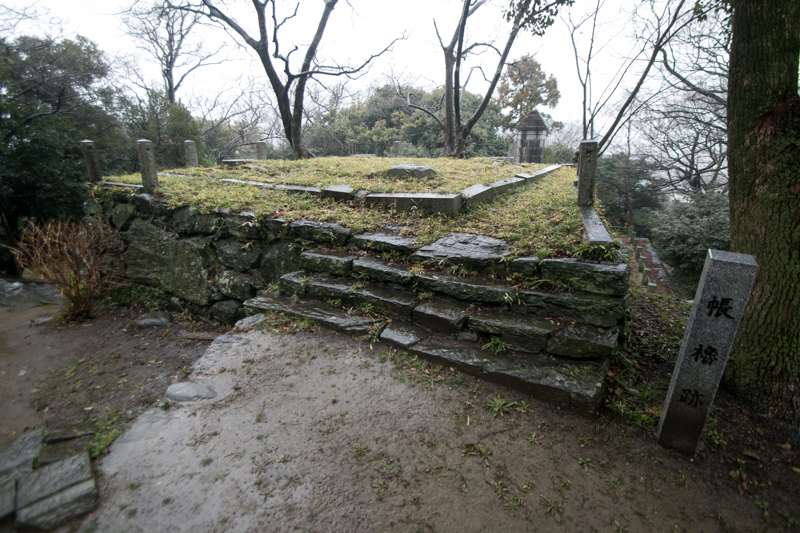 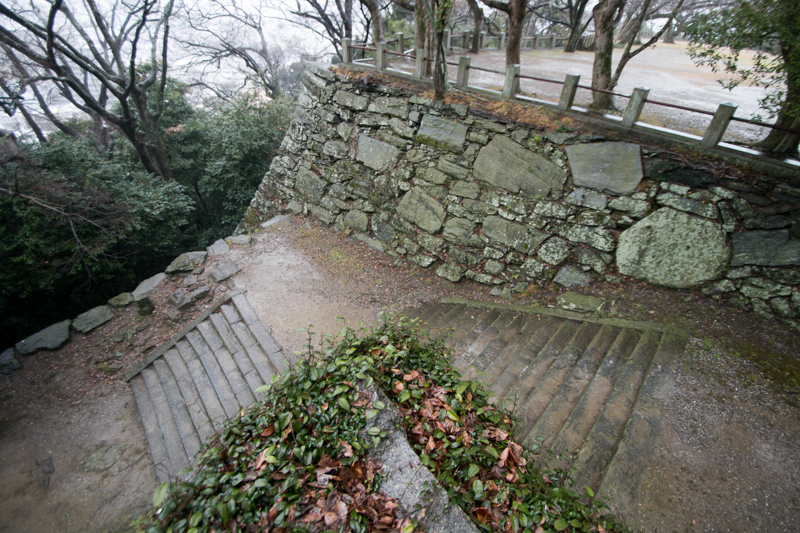 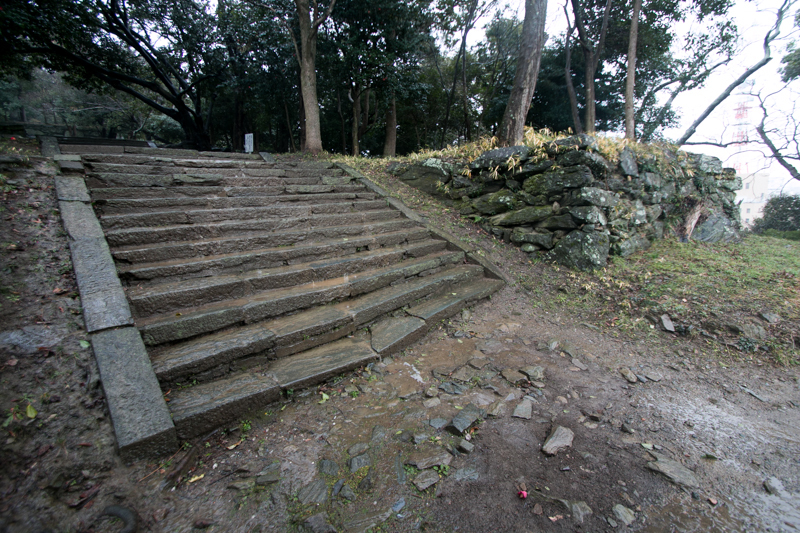 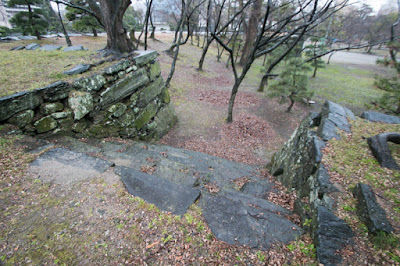 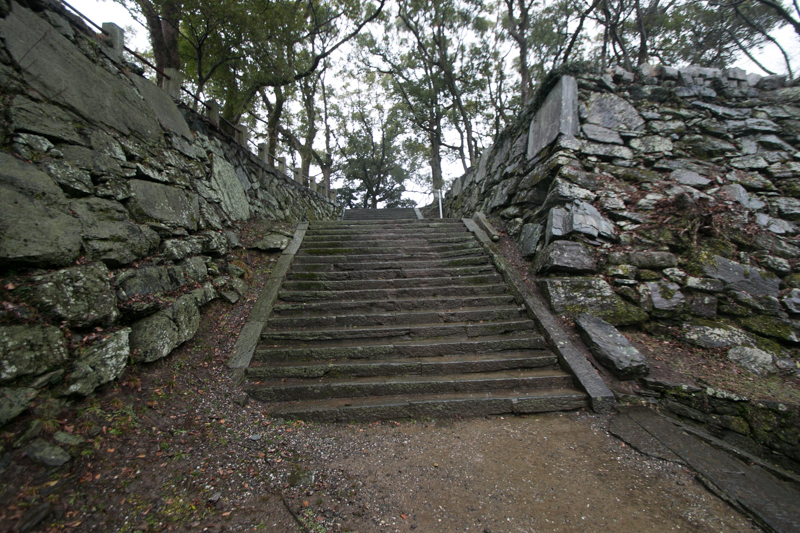 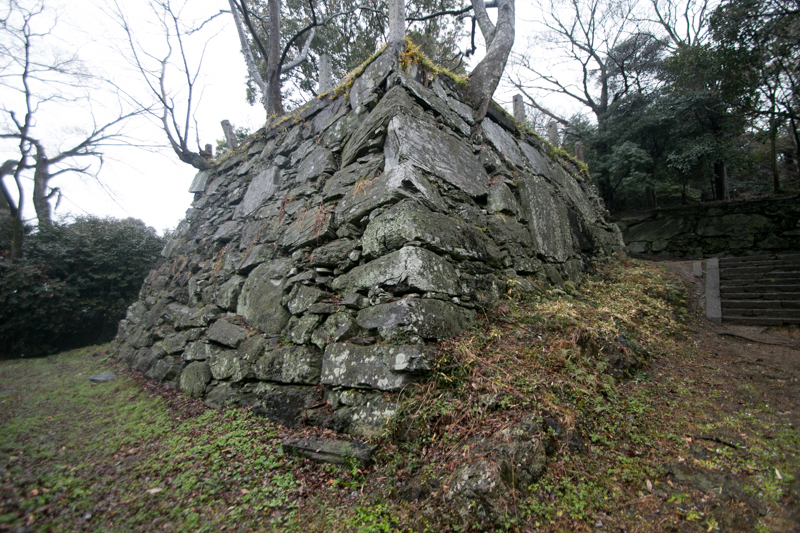 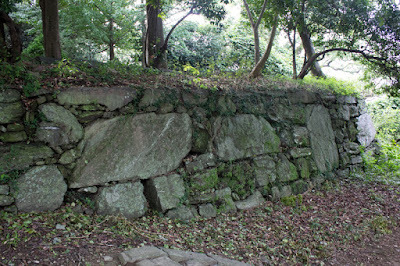 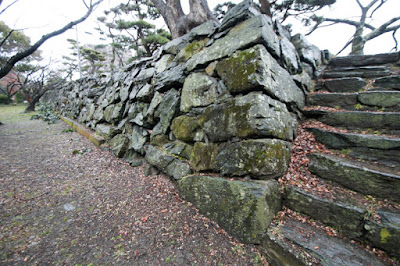 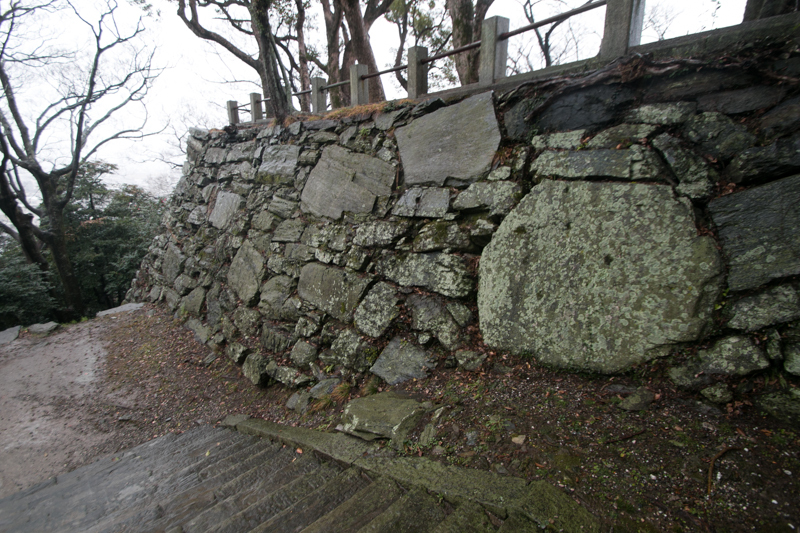 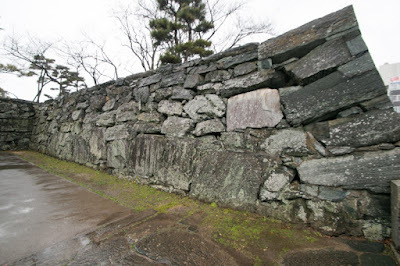 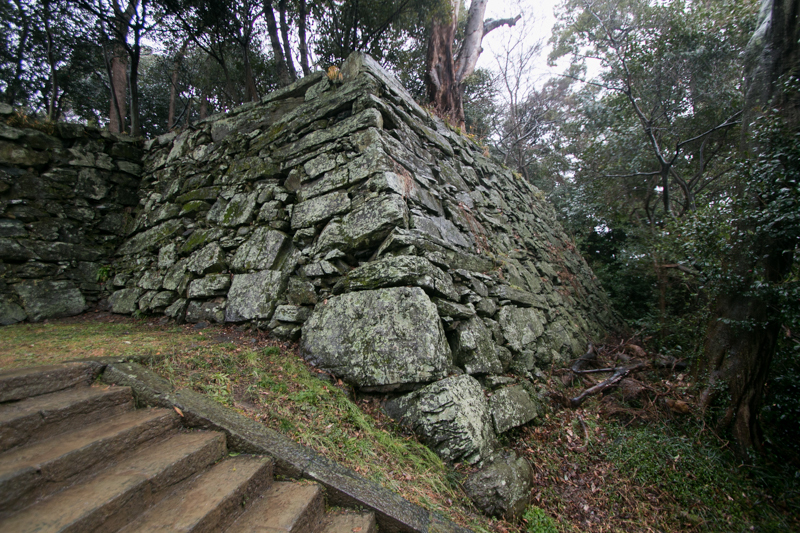 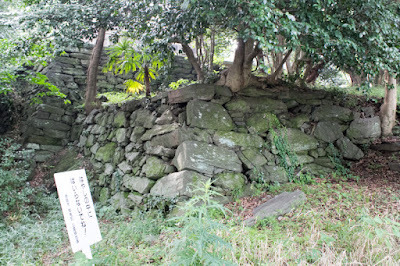 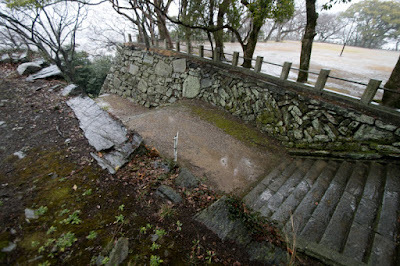 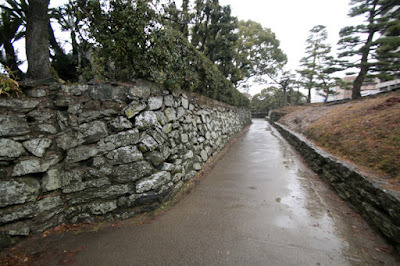 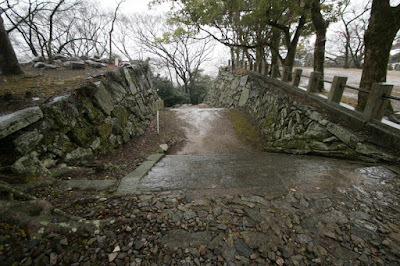 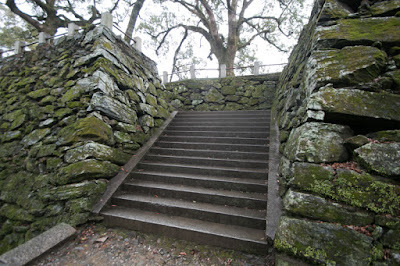 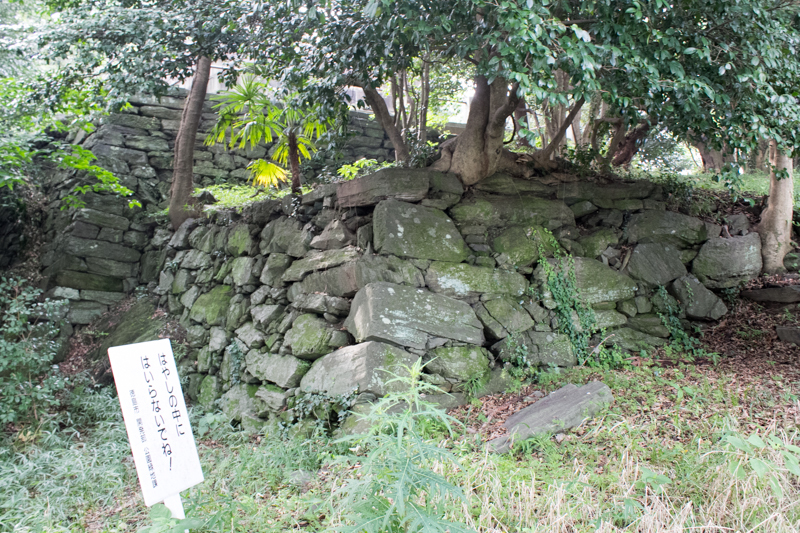 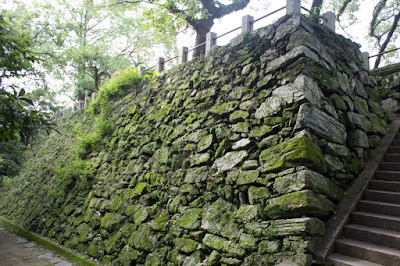 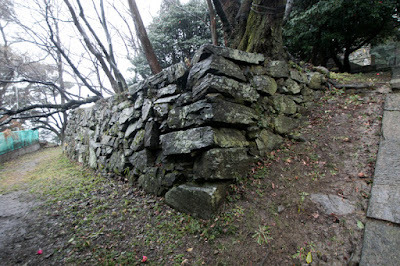 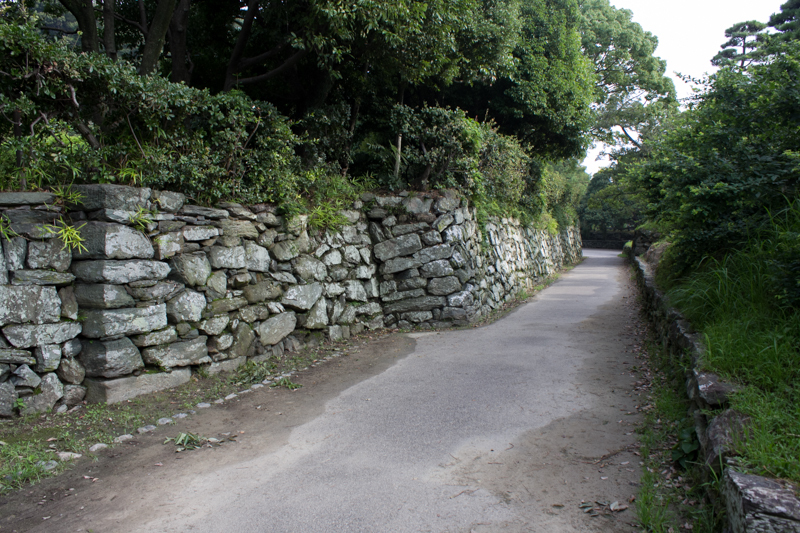 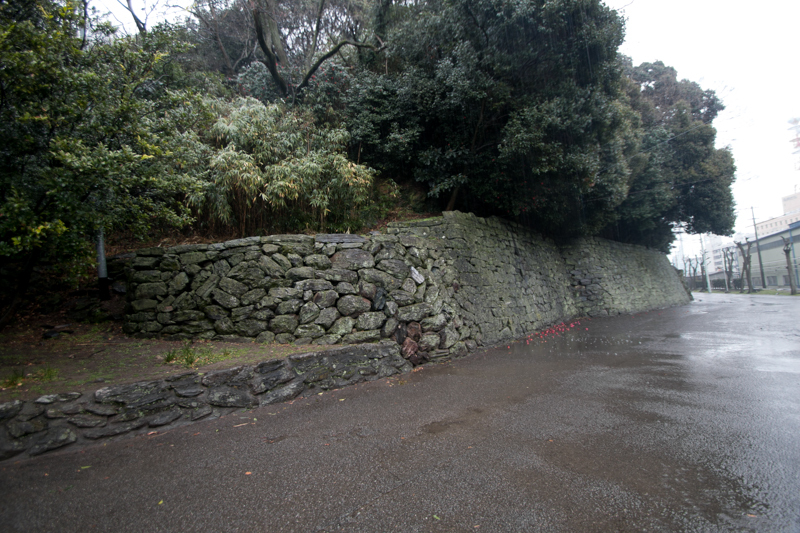 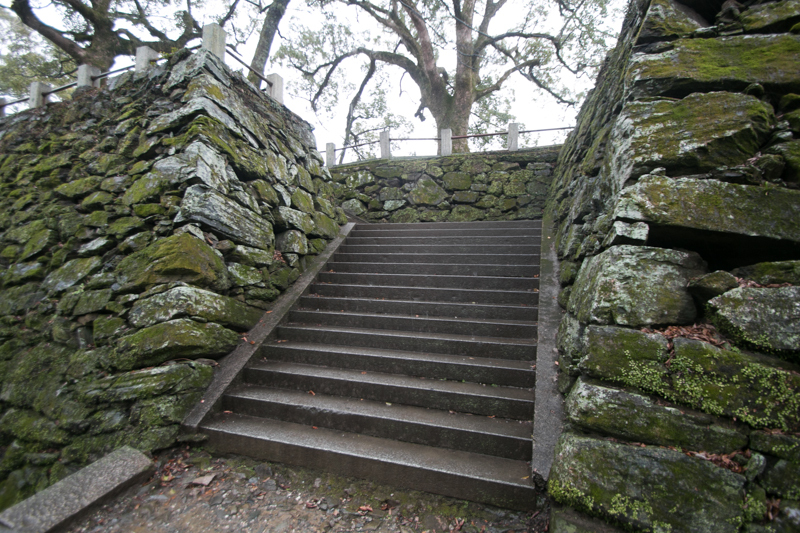 Old style stone walls spread all over the hill shows the history of Hachisuka clan tenaciously survived turbulent period. 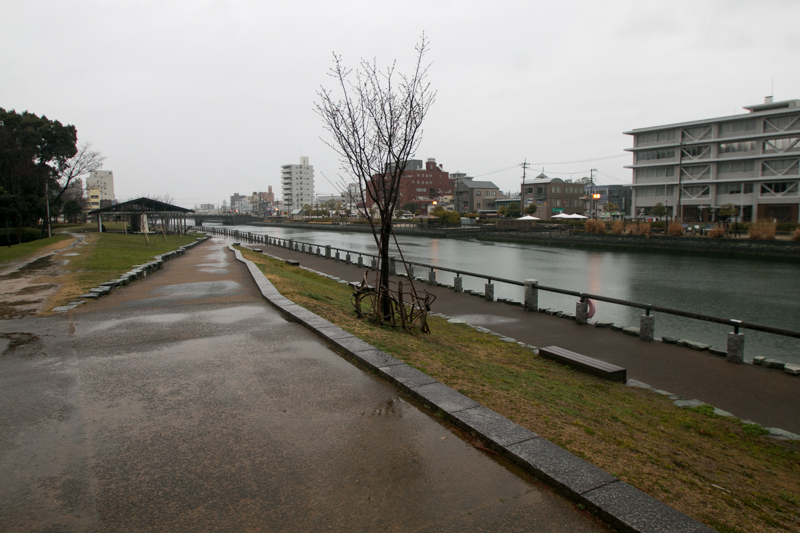 15 minutes walk from JR Shikoku Kotoku line Tokushima station. 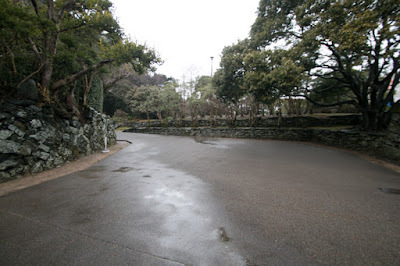 15 minutes drive from Tokushima Jidoshado Expressway Tokushima interchange.